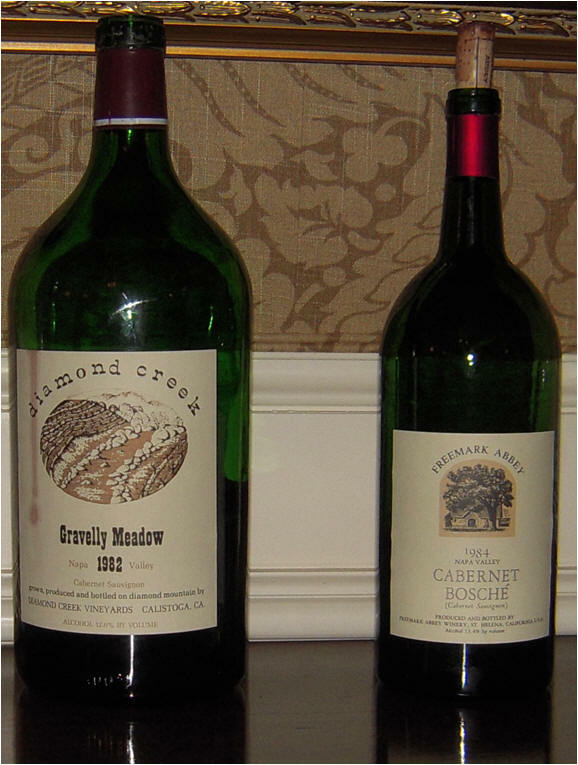 May 29, 2010 - Diamond Creek Gravelly Meadow Napa Valley Cabernet Sauvignon 1982 - RM 90 - Dark garnet color - medium bodied - big floral and perfume aromas predominate - elements of truffles, leather, tobacco with hints of kirsch and vanilla on a long smooth finish. 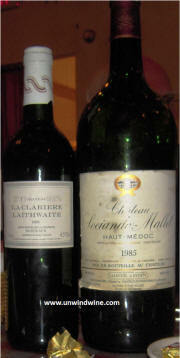 Tasted from double magnum so minimal signs of aging may likely not indicative of a 750 ml. 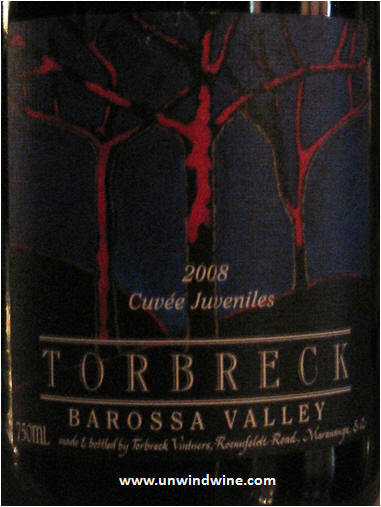 http://cellartracker.com/w?37272 Freemark Abbey Bosche Vineyard Napa Valley Cabernet Sauvignon 1984; Dark garnet color - medium bodied - black fruit berry and black cherry fruits - subtle leather on a long firm tannin finish. 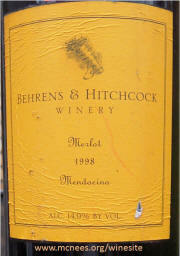 Starting to show signs of age - tasted from magnum. 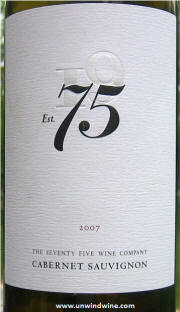 http://cellartracker.com/w?61289 Large format celebration bottles commemorating Will & Kate nuptials. Clos Fontindoule Dordogne Monbazillac 1982 - RM89 - Dark golden color of weak tea - smoke and tea tones predominate on the subdued fruit flavors of apricot, peach and lychie. http://www.cellartracker.com/wine.asp?iWine=197675 Tasted L, Bill and Beth C, Rusty and Ann J. at Kate & Will's gala reception at Indian Hills CC - KC. 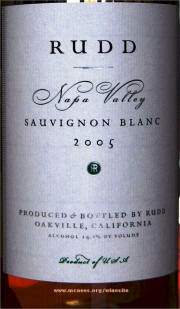 May 27, 2010 - Clark Claudon Napa Valley Cabernet Sauvignon 1999 - RM 92 - RP92. Medium - full bodied. 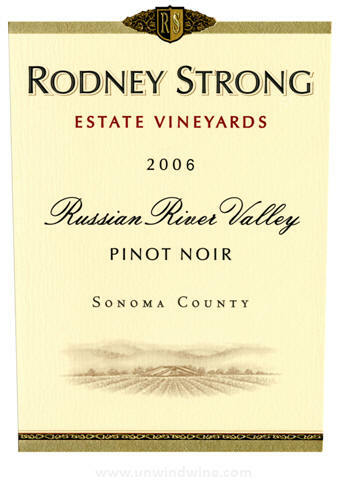 Big rich forward blue and black berry fruits, lively currant and a hint of vanilla enhanced by aromas and tastes of cedar and perfume with a long finish with finely integrated tannins. 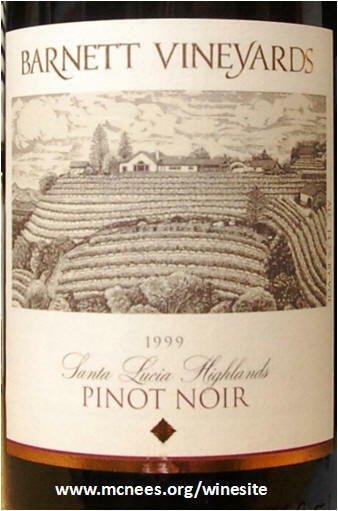 Tom Clark and Laurie Clark-Claudon were a Featured Producer at our 1999 Napa Wine Experience. 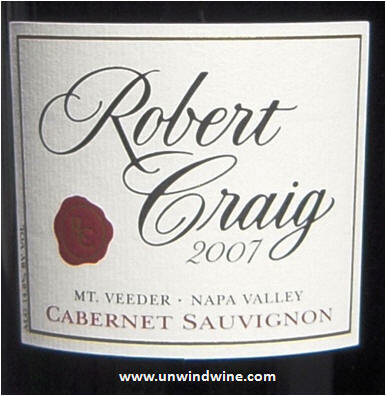 Robert Craig Mt Veeder Napa Valley Cabernet Sauvignon 1996 and 2007 - The 1996 (RM 90) was dark, moderately firm and a but tight - opened up more over two hours - fairly narrow compared to these other extraordinary two wines. 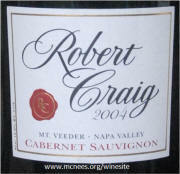 2007 is turning out to be a remarkable year for Robert Craig - Could this be the best Robert Craig Mt Veeder ever? 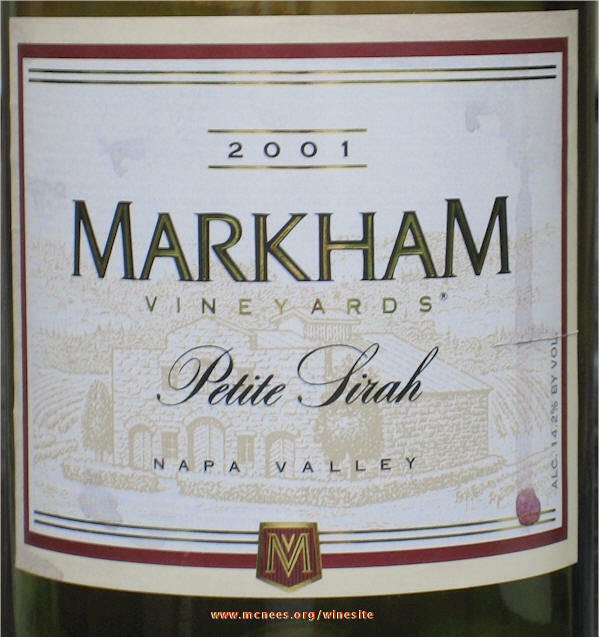 The 2007 (RM 94) was huge - firm tannins were very refined and hence very approachable - not overpowering - not for the feint of heart however! The huge forward fruits stood up to the tannins sufficiently to render this a delicious extremely enjoyable wine. 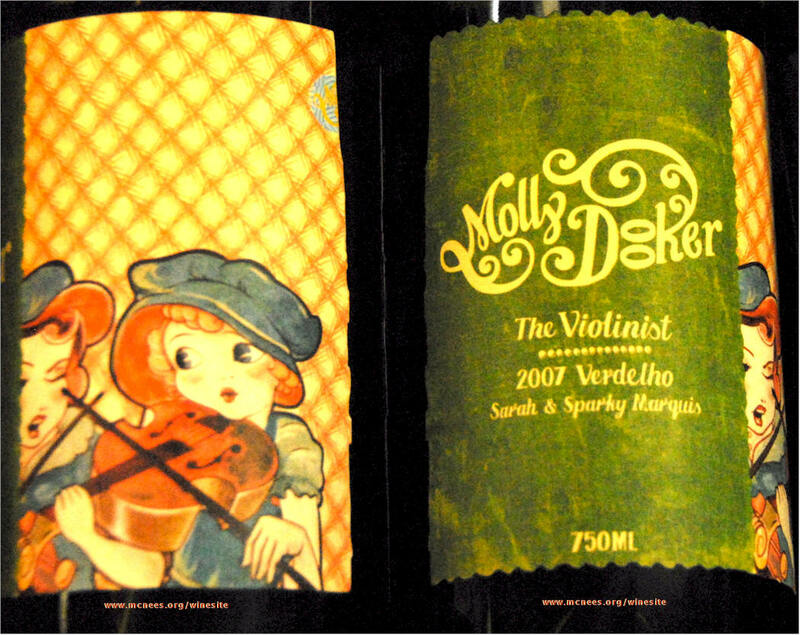 The winemaker notes sum it up perfectly - "Intense, gorgeous aromas of blackberry and black currant followed by dark chocolate, vanilla bean and creme de cassis. Flavors: An explosion of juicy, rich Mt. 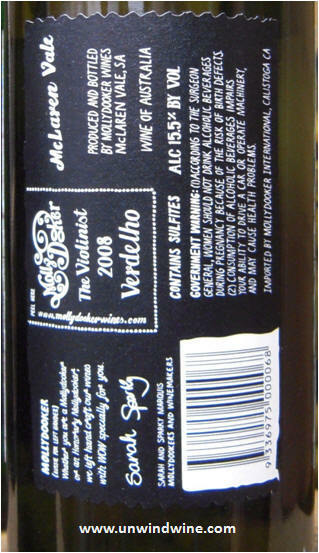 Veeder black fruit underlain with more cassis, pencil lead, cocoa, and cedar. 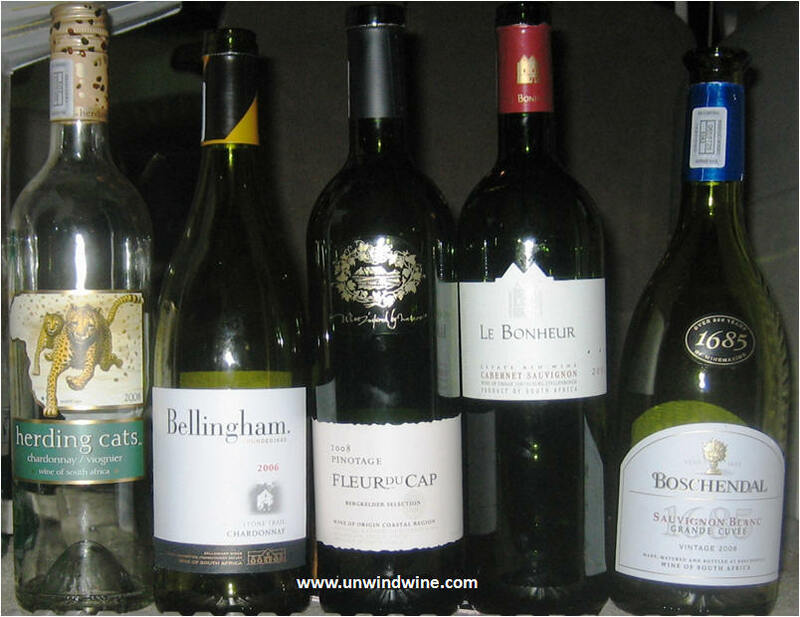 May 26, 2010 - South African Wine Tasting - Tower Club Tyson's Corner, McLean - Herding Cats Chardonnay/Viongier 2008; Boschendal Grand Cuvee Sauvignon Blanc 2008; Bellingham Stone Trail Chardonnay 2006; Fleur du Cap Pinotage 2008; Le Bonheur Cabernet Sauvignon 2005; Guest of Larry and Kelly C.
May 23, 2010 - Clos du Marquis St Julien Bordeaux 1999 - RM89, ST88 - Second wine of classic Super Second - Chateau Leoville Las Cases. 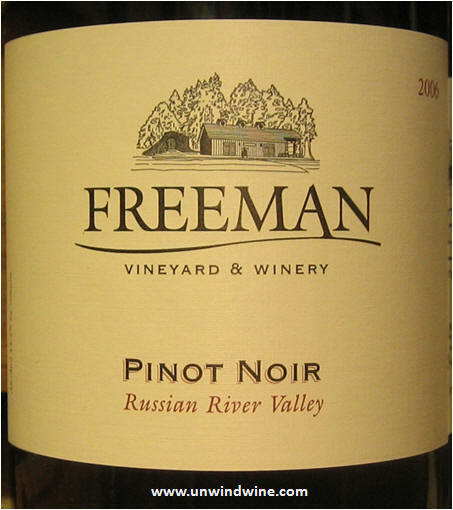 Medium bodied, deep ruby red color - full flavored fruit - red and black berry, red currant, hints of tobacco and cedar on a moderate firm tannin finish. Tasted w/ L culminating an an extraordinary wine & dine weekend at our favorite Italian Bistro Angeli's Restaurant w/ Alec serving, recently name area favorite by local newspaper. 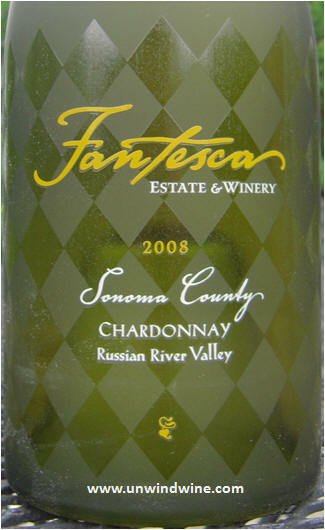 May 22, 2010 - Fantesca Estate & Winery Sonoma Russian River Valley (Heidi Barrett) Chardonnay 2008 - RM 92 points: A symphony of well integrated and smooth crisp, bright, flavors of tropical fruit, lychee, with an under current of citrus and a pleasant long lingering finish. 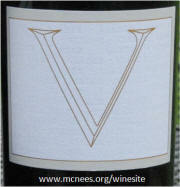 Heidi Barrett's first chardonnay from Duane & Susan Hoff's Fantesca. Taken BYOB to dinner. Fantesca Estate & Winery is one of our McNees WineSite featured producers. http://cellartracker.com/w?872831 Chateau Lafon-Rochet St Estèphe Bordeaux 2005 - RM 88 - Full, sweet floral and fruit aromatics , medium full bodied, complex - firm acidity predominates, bright vibrant black and red fruit character, with notes of chalky gravelly redcurrant. 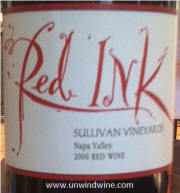 Smooth texture, supple weight and firm tannins at the core. 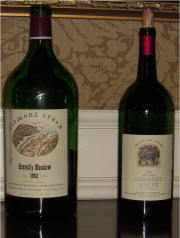 Tasted w/ L, Pat & Rodger at elegant Les Nomades in Chicago for gala double b-day celebration dinner. Joseph Drouhin "Vero" Pinot Noir Burgundy, France 2007 - RM 88 RP89 W&S 88 - Light, pepper, spice, licorice and leather accent the black berry and raspberry fruits. Tasted at lunch at Terzo Piano Restaurant in the new Modern Wing of the Art Institute of Chicago - great complement to the Grilled Nettesheim Farms beef strip loin with crispy Anson Mills polenta, mushroom fonduta and grilled ramp. 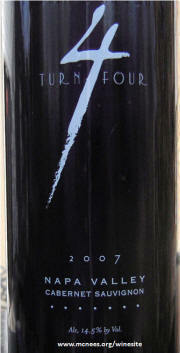 Flora Springs Napa Valley Merlot 2006 - RM 87 - Dark, initial slight harsh edge detracts slightly from black berry fruit. 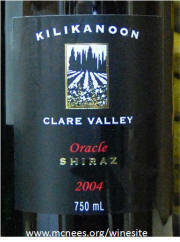 Clancy's Barossa Valley Syrah 2006 - RM 86. Tasted w/ L from the broad by-the-glass selection at Flemming's Steakhouse in Chicago with great burger and Ahi tuna bar food selections. 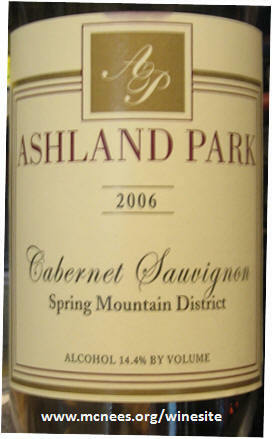 May 13, 2010 - Ashland Park Spring Mountain District Cabernet Sauvignon 2006 - RM 89 - Purplish ruby color - fragrances of mulberry, black cherries and blackberry with a hint of cloves; Rich and silky mouth feel with good structure and balance, chalk-like tannins; and fine acidity on the finish. Better after being open several hours. 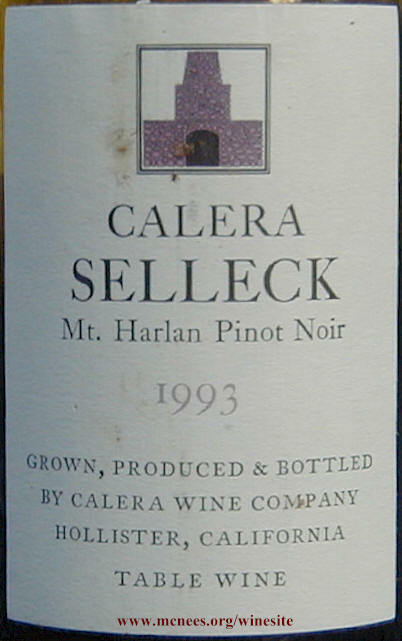 http://cellartracker.com/w?581361 . Tasted w/ L at Angeli's Restaurant w/ Alec serving. 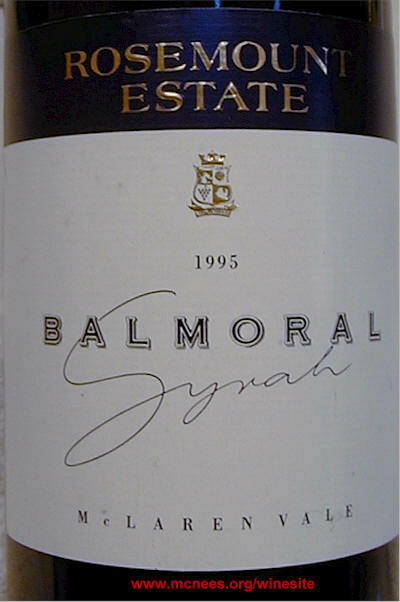 Rosemount Balmoral Mclaren Vale Valley Shiraz 1995 - RM 90 $39 - Dark full flavor, over ripe berry, raisin, notes of blueberry, plum fruit, with spice and anise. 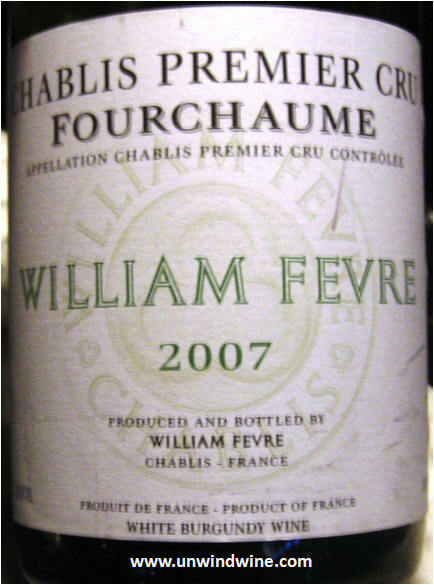 Showing age on opening but opened and softened with a long full complex finish. http://www.cellartracker.com/wine.asp?iWine=12022 Tasted at Angeli's Restaurant for Mother's Day dinner w/ L, Erin, Evelyn & Keith, Barb & Kevin, Sean, Will & Sarah, and Alec serving. 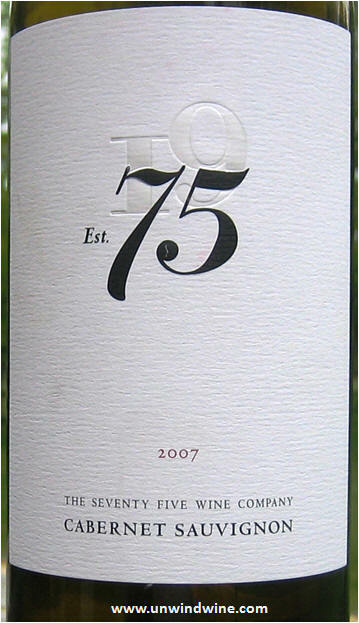 May 7, 2010 - Seventy Five Wine Company '75' North Coast cabernet Sauvignon 2007 - Needs time to shed a slight harsh edge ... 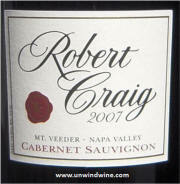 Dark color, tangy spice, long lingering graphite finish predominate over blue and red fruits. 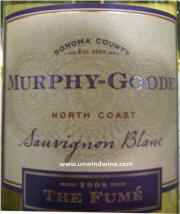 May 6, 2010 - Murphy-Goode Napa Valley Fume Blanc 2008 - RM 85 - Tasted at Cafe 29 in Huntsville. 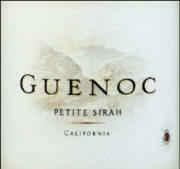 May 4, 2010 - Guenoc California Petit Sirah 2007 - RM 79 - Aroma and predominant flavors of a slightly funky combination of wintergreen mint, sour cherry and musty damp grass with a lingering cedar mint finish offset by an essence from the barnyard. 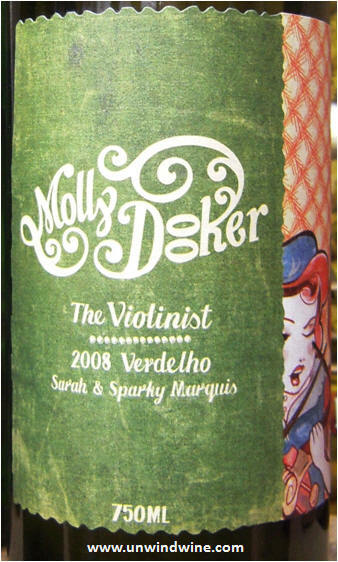 They spared Lily from adorning and gracing this non-estate bottling label. This would've been best left to someone elses' bottling/label. 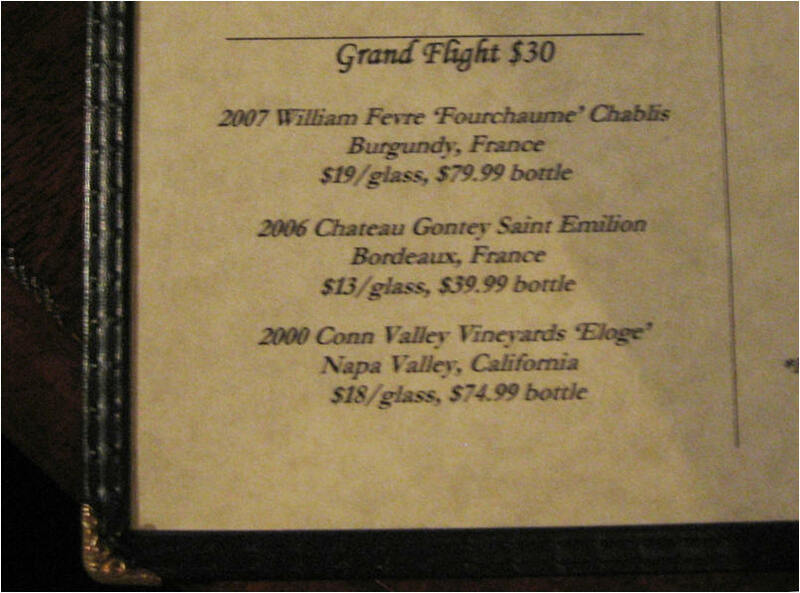 Tasted by the glass at Connor's Steak & Seafood in Huntsville. 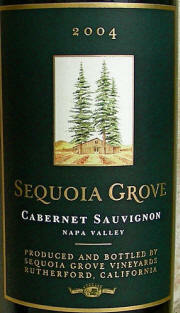 Sequoia Grove Napa Valley Cabernet Sauvignon 2004 - RM89 - Overshadowed by the bigger, more polished, complex and flavorful Sur Luchtel. A challenge in a comparison tasting is that an otherwise pleasant drinking noteable wine is diminished. 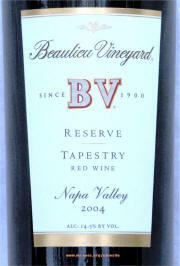 Medium bodied, dark berry, black cherry, hint of cedar and cassis on a moderate tannin finish. http://www.cellartracker.com/wine.asp?iWine=344026 Taken to Pat's for dinner & tasting. 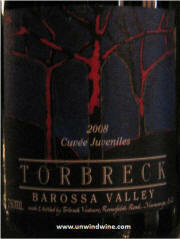 Kalleske Greenock Barossa Valley Shiraz 2005 - RM 91 - Intense, full bodied, inky colour, thick chewy tongue-coating black cherry, plum, creme de cassis and a hint of black pepper. http://cellartracker.com/w?275934 Tasted w/ L - taken to Bob & Gloria's birthday dinner party. 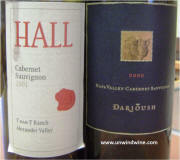 April 20, 2010 - Hall Cabernet Sauvignon Napa Valley 2005 - RM 87 points: Bright vivid red berry and black fruits give way to tar , smoke, a hint of mocha on a firm, slightly hard edged finish with a subtle whiskey or cognac tone. - http://cellartracker.com/w?489505 Tasted @ Flemming's Steak House in Beaver Creek. April 19, 2010 - Keenan Napa Valley Cabernet Sauvignon 2003 - RM 91 - Deep bright dark garnet colour. 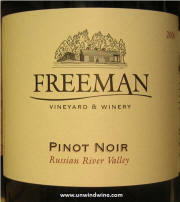 Forward full bodied fruit with chewy plum, black raspberry and currant flavors. 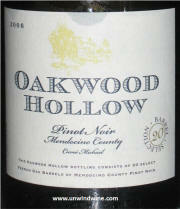 http://www.cellartracker.com/wine.asp?iWine=376910 : Arrowood Sonoma Valley Cabernet Sauvignon 1998 - RM 87 - Leathery, earthy subdued currant, black cherry, berry and plum with a smooth refined but short finish. Tasted from magnum. http://www.cellartracker.com/wine.asp?iWine=12044 Taken BYOB to gala RG team dinner at Zsa Zsa's in St Charles. 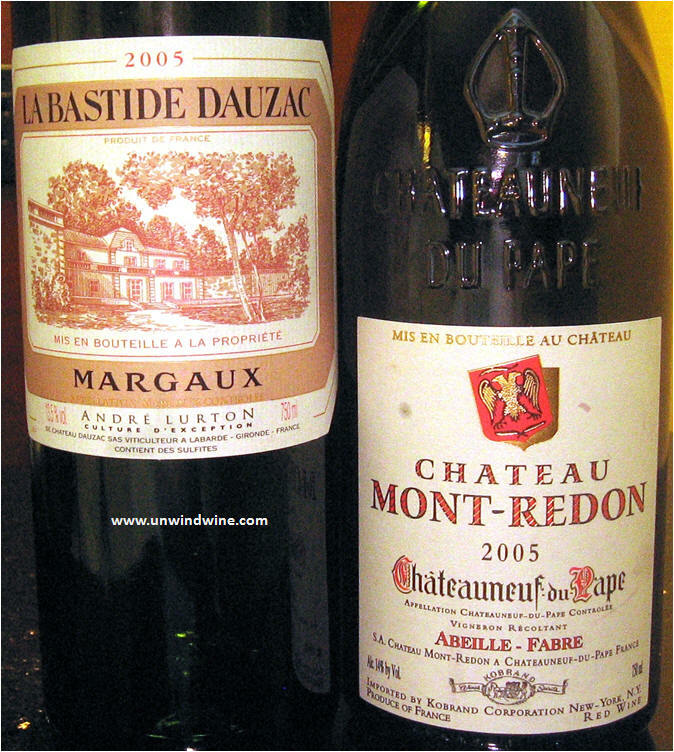 April 18, 2010 - Reignac Bordeaux Superiere 2003 - RM 87 - Tobacco, subtle tar and leather predominate over the black fruit notes. http://cellartracker.com/w?62791 Tasted at home w/ L, Sean & Alec. 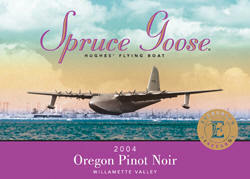 April 17, 2010 - Evergreen Vineyards "Spruce Goose" Pinot Noir, Willamette Valley 2005 -RM 86 - Somewhat closed and tight with subdued fruit - black cherry, hint of strawberry and plum, dusty rose petal and moderate firm tannin finish. 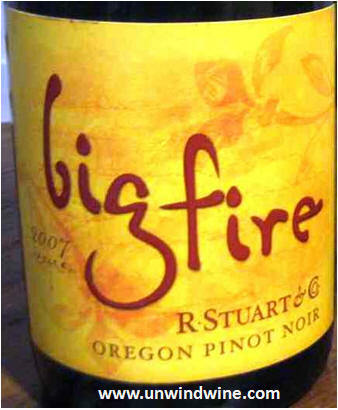 http://cellartracker.com/w?407676 ; R Stuart Big Fire Oregon Pinot Noir 2007 - RM 88 - Flavorful berry, cherry, red raspberry and plum fruit with moderate tannin finish. Great accompaniment to "Linda's Salad" and Bellavitano cheese. http://cellartracker.com/w?540948 Tasted w/ L at Salt Creek Wine Bar in Brookfield. 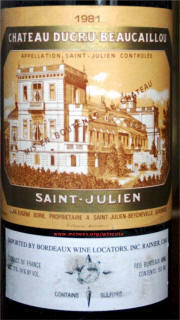 April 16, 2010 - Chateau Ducru Beaucaillou St. Julien Bordeaux 1981 - RM89 - From earlier tastings - Medium bodied, classic left bank Bordeaux bouquet of floral and perfume with that elegant and well integrated classic earthy leather that gives way to berry, black cherry, a hint of anise, vanilla, plum and a lengthy finish. Breaking out a 1981 Bordeaux, Erin's birth-year wine as we celebrate news and all being together. Still life left in this mature St Julien, Bordeaux, but need to be mindful of last two bottles and large format dbl magnum remaining. 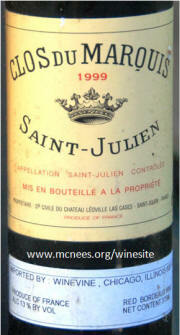 Other reviews - RP 88/100 (Ed 1998) "One of the Medoc's more successful wines, the 1981 has reached full maturity. 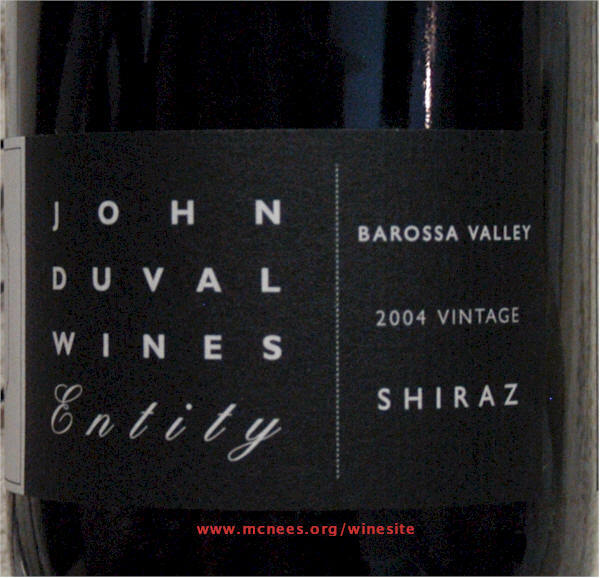 It exhibits a dark ruby/purple color, and a moderately attractive nose of minerals and jammy cranberry fruit intermixed with black currants. 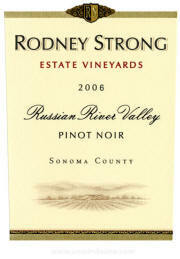 In the mouth, this wine has lost its baby fat, revealing medium body, and an elegant, measured personality. Pure, with well-integrated tannin, this is a stylish, graceful Ducru-Beaucaillou. 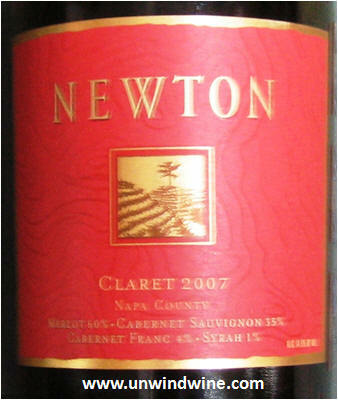 Wine Spectator: 89/100 (10-1994) A wonderful balance of rich fruit and silky tannins, with plum, vanilla and light tar character. 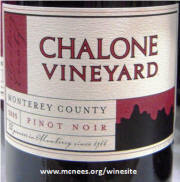 Full-bodied and tannic yet so well integrated; excellent harmony. 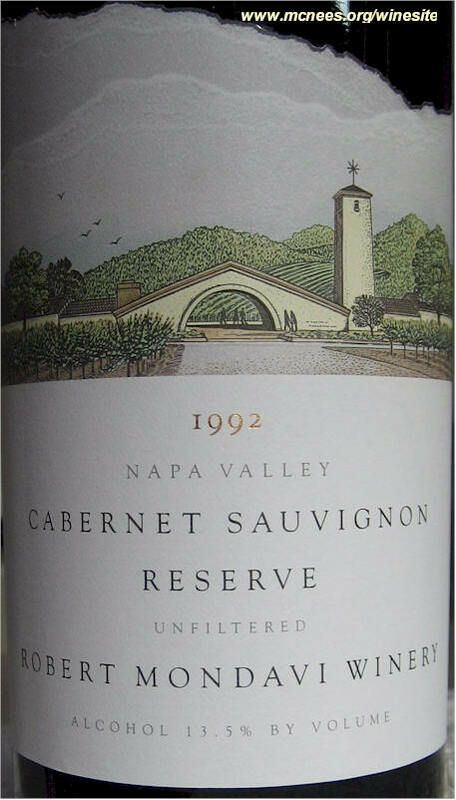 Drinkable now but better after 1998. - Frank Dubourdieu : 90/100 (Ed 09-2000). 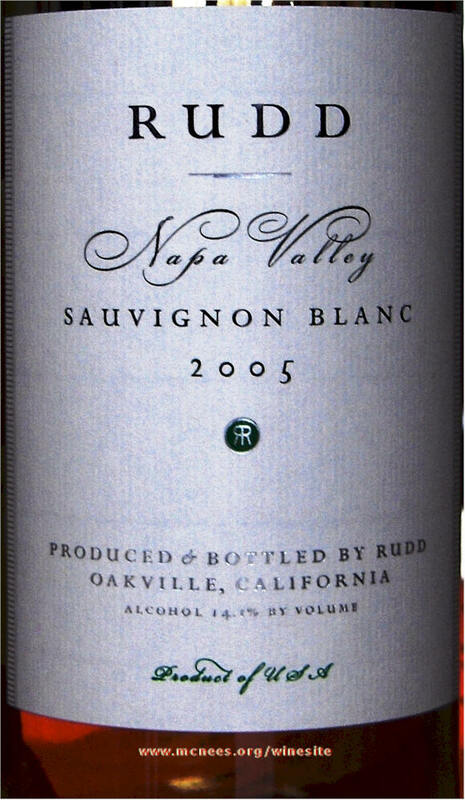 http://cellartracker.com/w?22740 DEL DOTTO Napa Valley Cave Blend 2000 - RM 90 - Big floral and perfume bouquet, huge full forward fruit accented by sweet currant - almost cognac flavor, dark ripe cherry, spice, a hint of anise and licorice on the long moderate tannin finish. Much bigger and brighter than earlier tastings. 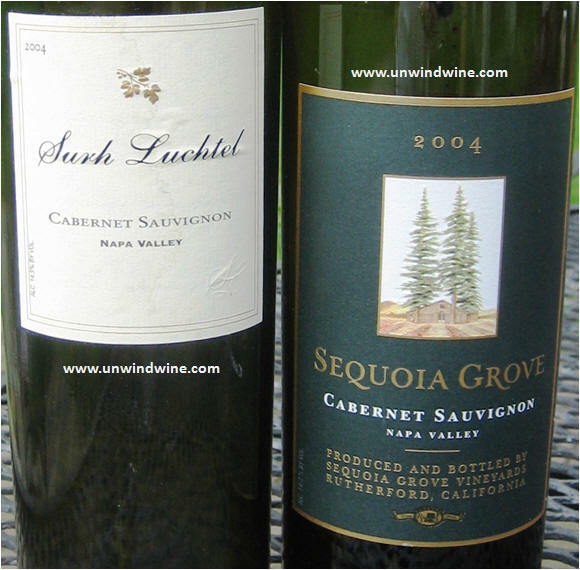 - 73% Cabernet Sauvignon, 19% Merlot, 8% Sangiovese http://www.cellartracker.com/wine.asp?iWine=460970 Tasted w/ L, Erin & Johnnie, Sean, Will, and Sara G at Angeli's Restaurant Alec home for the weekend and serving. 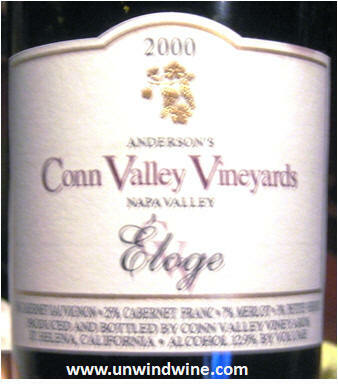 April 15, 2010 - Anderson's Conn Valley Vineyards Eloge 2000 - RM 91 - Very tasty - huge floral perfume - berry and currant fruits with a cedar tone and hint of mocha on the long soft tannin finish. 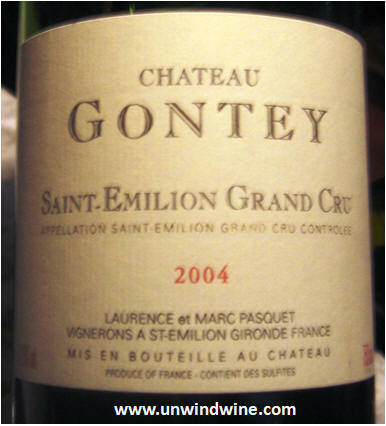 http://cellartracker.com/w?19544 : Chateau Gontey St Emilion Grand Cru Bordeaux 2004 - RM 87 - Firm tannins throughout with leather, slightly astringent earthy black cherry, blackberry and cedar on the firm tannin finish. 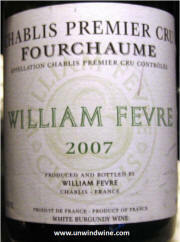 http://cellartracker.com/w?877858 : William Fevre Chablis 1er Cru Fourchaume 2007 - RM 86 http://cellartracker.com/w?668857 : Served as Grand Flight wine tasting at Grand Cru Wine Store and Vineria in Ballston, Arlington, VA.
April 12, 2010 - Hidden Ridge 551/2° Slope Sonoma Valley Cabernet Sauvignon 2005 - RM 92 WE 95 - From the western side of Spring Mountain, just inside the Sonoma County line. 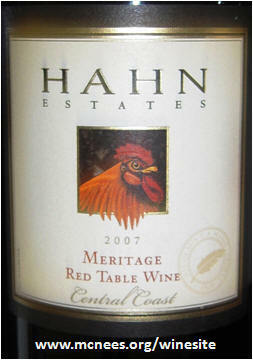 Full bodied, nicely integrated firm tannins throughout with flavorful mouth-full of blue and red fruit flavors with tones of spice and chocolate accenting the rich fruit. What a find! 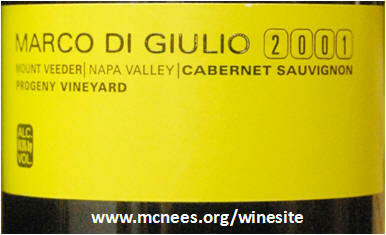 This is a wine from one of our favorite winemakers Marco DiGuilio! Sequoia Grove Napa Valley Cabernet Sauvignon 2006 - RM 88 - Slight edge of earthy cedar, spice, pepper and graphite offset the blackberry and dark fruits with a subtle acid layer of moderate ripe fruit offset with firm nice tannin structure to this nicely balanced, firm Napa cab. 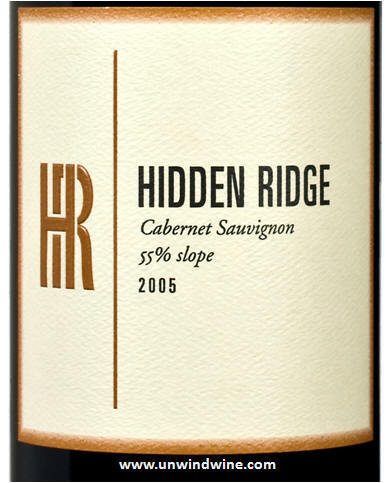 The Hidden Ridge is a great complement to filet of beef at Morton's Steak House Crystal City, Arlington. Tasted w/ DZ and AC. 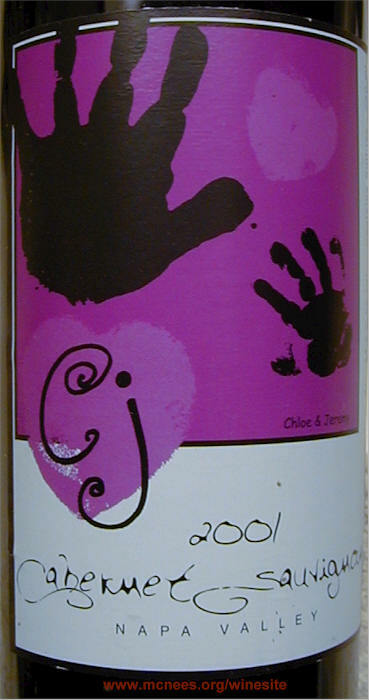 April 09, 2010 - Clark-Claudon Estate Grown Napa Valley Cabernet Sauvignon 1997 - RM 88 points: Somewhat closed and flabby, the fruit is muted. Like Dominus (86) and some top Bordeaux (89-90 Pichon Lalande) that I later learned I drank too early when they finally 'awoke' to reveal their true character and fruits years later? 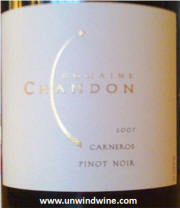 Initial black cherry fruit, subtle tone of cigar bar - after an hour it started to open to reveal subtle tones of mocha. 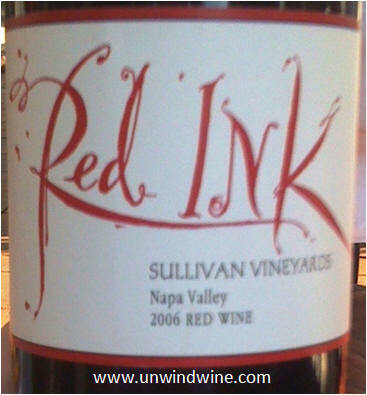 Full bodied with well integrated tannins throughout. Still have two thirds of case left so will try again soon to see how it develops. Tasted w/ L at Angeli's Restaurant. 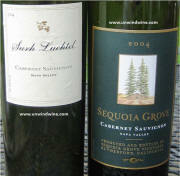 Tom Clark & Laurie Claudon-Clark were featured producers during our Napa Wine Experience 1999. http://www.cellartracker.com/wine.asp?iWine=436557. 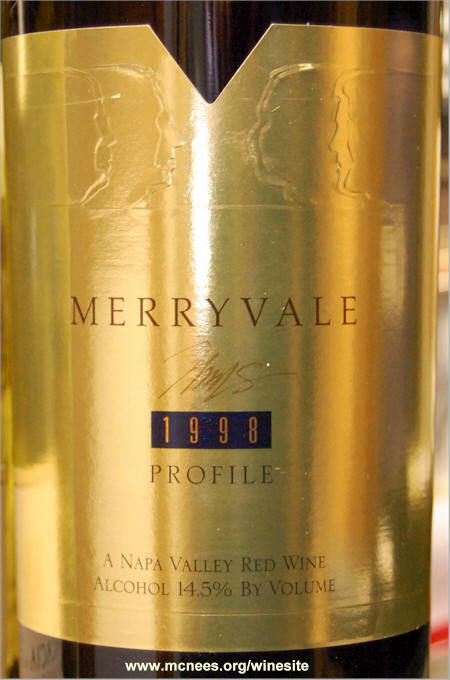 March 28, 2010 - Merryvale Profile Napa Valley Cabernet Sauvignon Blend - RM 89: Consistent with earlier tasting notes. 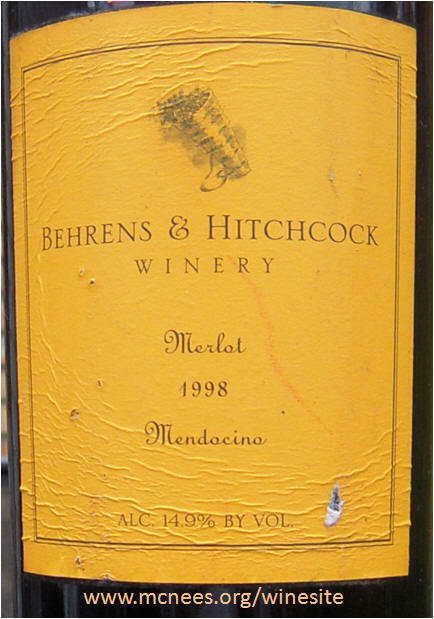 Showing a little age, needed an hour to open to fully reveal its fruit - floral and earthy leather bouquet - flavors of black cherry, black fruit, subtle cedar, bright floral violets on the moderate tannin finish. 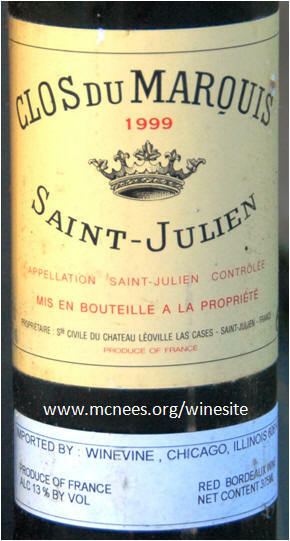 Not as much structure or backbone, a bit lighter body than what one might expect and a bit short on the finish - perhaps the fruit is starting to fall off a bit... Not flawed but probably has peaked for this modest vintage. Served up the gold label w/ L for Bob and Gloria to celebrate their 'Golden' 24 on the 24th anniversary at Angeli's Restaurant. 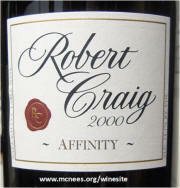 March 26, 2010 - Robert Craig Affinity Napa Valley Cabernet Sauvignon Blend 2007 - RP 96 - RM 93 - Just received release shipment from the winery. 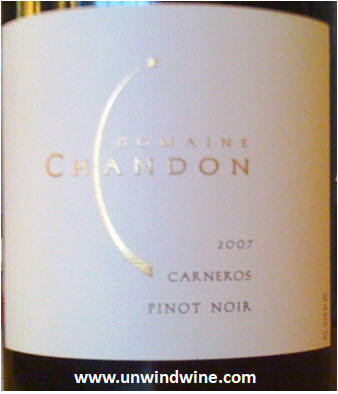 Initially a bit tight and closed but after an hour opened up to show wonderful black and blue berry fruits, red currant and slight hint of mocha - complex, polished, velvety well integrated smooth silky tannins on a big long soft finish. Tasted w/ L and Mark D at Angeli's Restaurant. 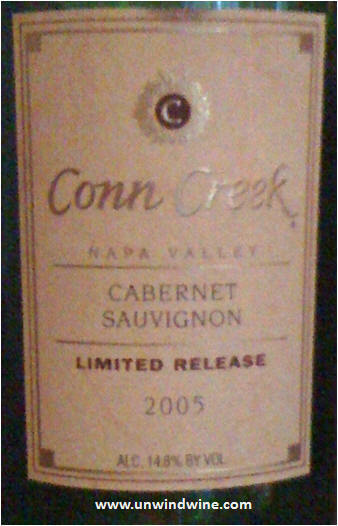 March 24, 2010 - Conn Creek Napa Valley Limited Release Cabernet Sauvignon 2005 - RM 87 - Great value in this easy drinking cab. 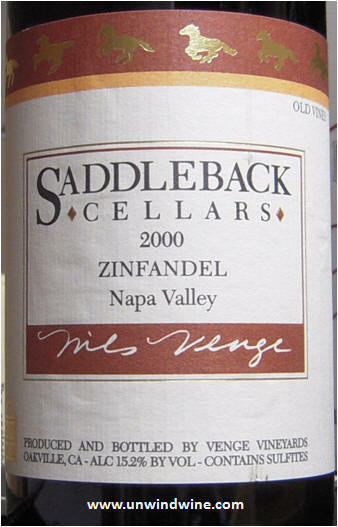 Bright ripe dark cherry and blackberry, mocha, spice and subtle coffee on the dried fruit moderate finish. 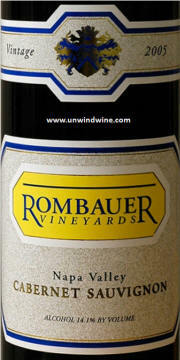 Blend: 82% Cabernet Sauvignon, 7% Cabernet Franc, 5% Merlot, 4% Malbec, 2% Petit Verdot. Tasted w/ Don Z and Merk G at Kora Italian restaurant eatery and lounge in Crystal City, Arlington. 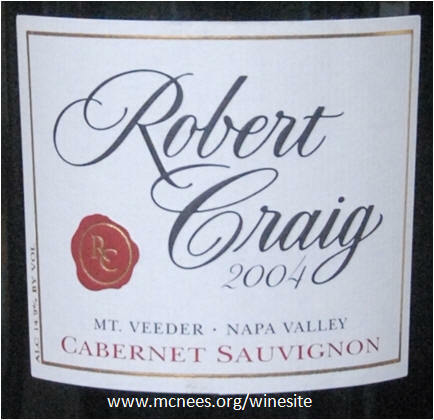 March 22, 2010 - Robert Craig Mt Veeder Cabernet Sauvignon 2004 - RM 91 - Slight edge and 'hot' streak to this initially ... gives way to full forward tasty black and red berry fruits, red currant and slight spice and hint of chocolate and sweet oak. Several days later opens further to release essence of floral perfume, smoke and anise on top of the fruits. 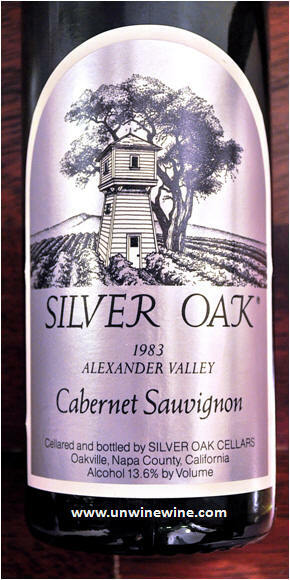 March 20, 2010 - Silver Oak Cellars Alexander Valley Cabernet Sauvignon 1983 - RM 90 - Dark garnet, slightly brickish color emerging on the edges. 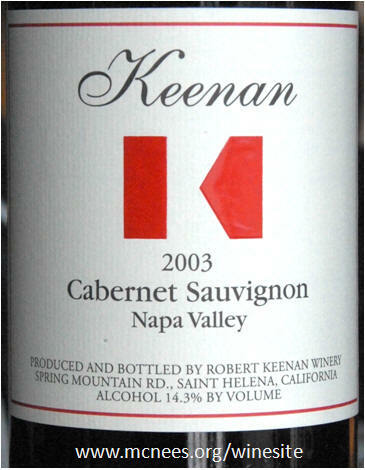 Still holding up and showing dark berry and black cherry fruit, accented by subtle oak, smoky tar and cassis on a moderate long silky tannin finish. 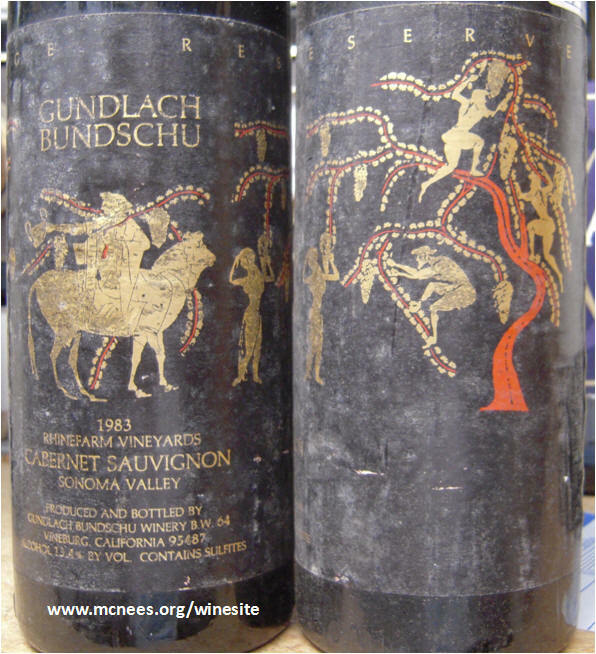 Gundlach Bundschu Sonoma Valley Rheinfarm Vineyard Cabernet Sauvignon Reserve 1983 - RM 87 - Super ripe fruit - taking on predominant forward raisiny, prune tones, accents of leather and black cherry with subtle tones of smoke, tar and cassis. Two Michelle birth-year wines taken to Ryan & Michelle's family celebration dinner for Michelle's birthday and grad school graduation. 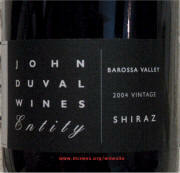 Tasted w/ L, E&J, D family. March 19, 2010 - Cloud View Pritchard Hill Napa Valley Red Wine 2001 - RM 88 - Dark garnet color - subdued nose - full bodied, firm forward smoky, leathery dark berry fruit, charcoal, hints of anise, acidic, zesty spice on a long firm tannin finish. 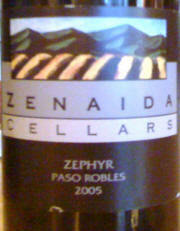 57% merlot, 43%cabernet sauvignon; tasted at home w/ L with grilled tenderloin filets & artisanal cheeses. 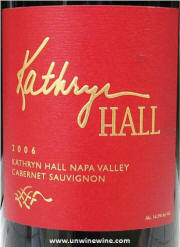 March 18, 2010 - Hall Cabernet Sauvignon Kathryn Hall Napa Valley 2006 - RM 93 - WS 96 - BIG cab - full bodied - forward big fruit filled, firm, silky smooth polished black berry, red raspberry, hint of cedar, with full well integrated tannins on a long vanilla finish. Frank Family Napa Valley Cabernet Sauvignon 2006 - RM91 - WS 91 WE 91- Dark color, firm full bodied, black cherry, blackberry with spice, hint of vanilla and roasted nut on the long smooth tannin finish. 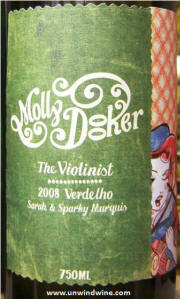 Blend of Cabernet Sauvignon 81% Merlot 13% Petit Verdot 4% and Cabernet Franc 2%. 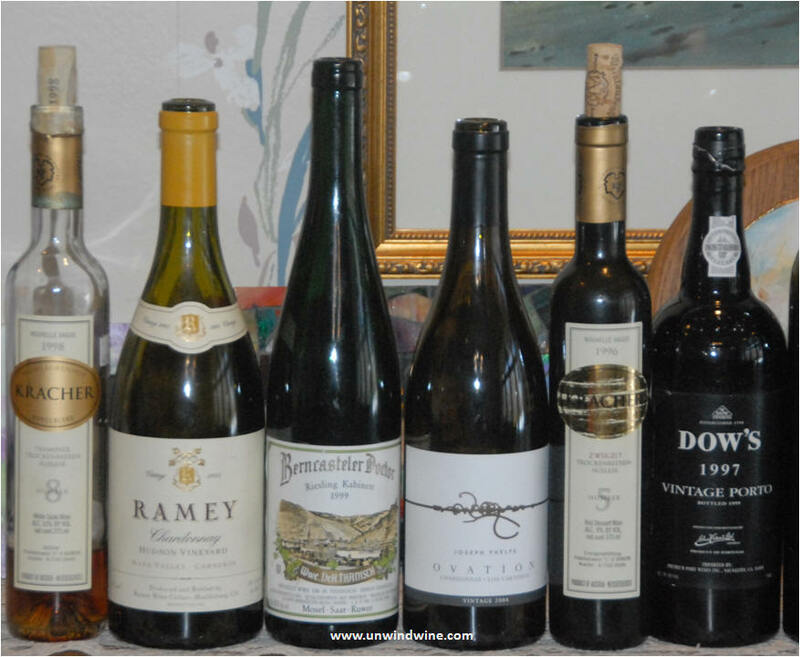 Tasted w/ Jan & Bill @ home in HB. 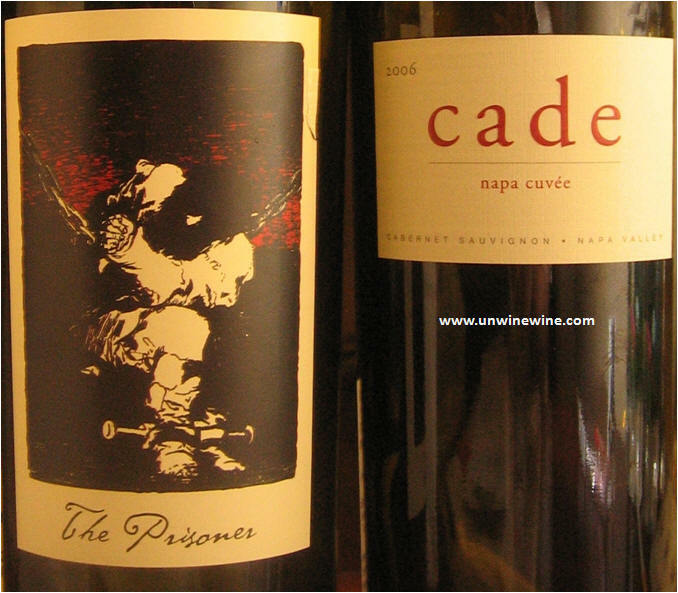 March 17, 2010 - Cade Napa Valley Cuvee Cabernet Sauvignon 2006 - RM 91 - Owen Roe The Prisoner 2008 - RM 90 - Tasted w/ DZ, Mike F, Ryan, Ted, Mark and Rob at Spaghettini's in Seal Beach. 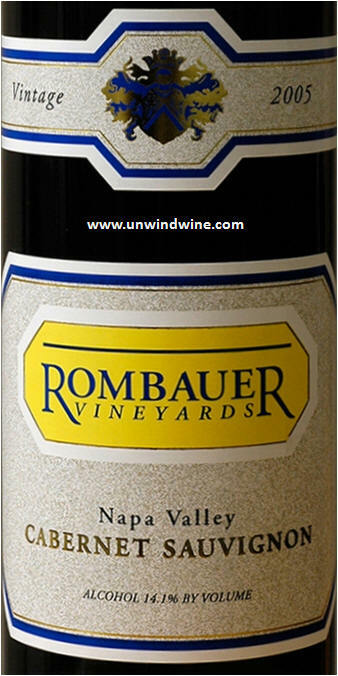 March 16, 2010 - Rombauer Napa Valley Cabernet Sauvignon 2006 - RM 88 - Dark garnet color - firm, a bit tight, moderately firm body - black berry and black raspberry fruit flavors give way to tar - creosote with a slightly hard firm finish. 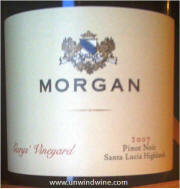 http://cellartracker.com/w?796777 - Tasted w/ DZ, Mike F, Ryan, Ted at Spaghettini's in Seal Beach. 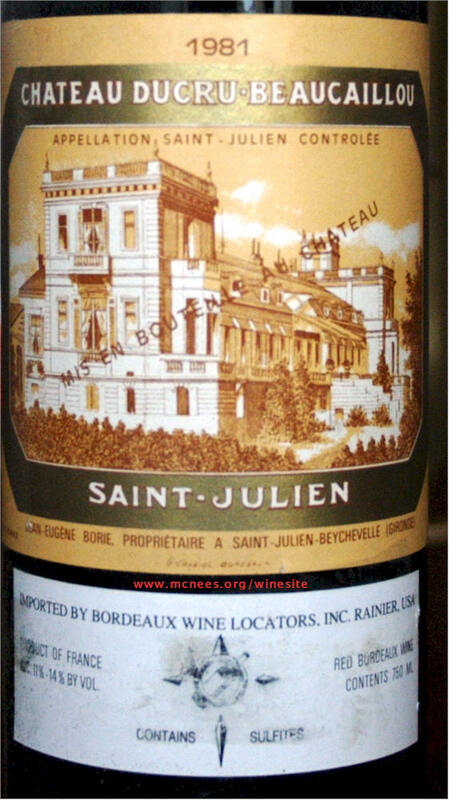 March 14, 2010 - Chateau Ducru Beaucaillou St Julien Bordeaux 1982 - RM 93 - I was slightly concerned and skeptical upon opening with brackish colour and funky odor but it quickly opened to revealed classic Bordeaux black berry and black cherry fruits, earthy leather, tobacco and hints of cigar box. 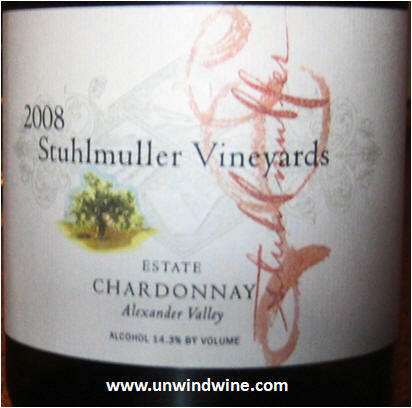 This was smooth, well balanced and polished and still has several years life left. 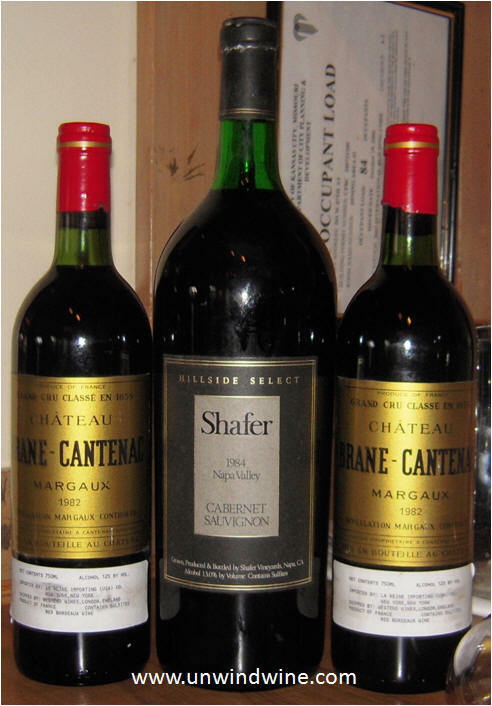 http://www.cellartracker.com/wine.asp?iWine=1769; Chateau Brane-Cantenac Margaux Bordeaux 1982; RM 87 - Subdued slightly tart black fruits and subtle leather and cedar give way to floral highlights in the moderate finish. 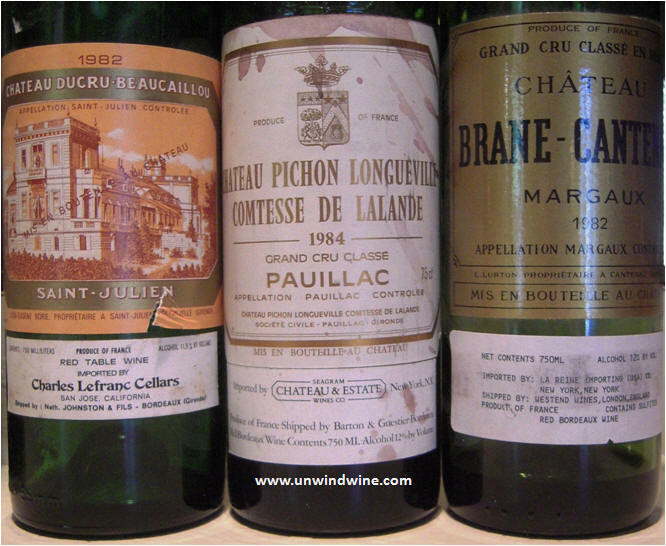 http://www.cellartracker.com/wine.asp?iWine=22706; Chateau Pichon Longueville Comtesse de Lalande Pauillac Bordeaux 1984 - RM 88 - What a pleasant surprise - life left in this 25 year old from a modest vintage - I didn't expect the stable, only slightly tart balanced black cherry and black berry fruit accented by subtle cigar box, leather and a hint of anise with medium body and smooth moderate tannin finish. http://www.cellartracker.com/wine.asp?iWine=133427 Men's getaway retreat & celebration from bridal shower for Will C and Kate at C's with Will, Bill (Sr), Rusty and Drew. 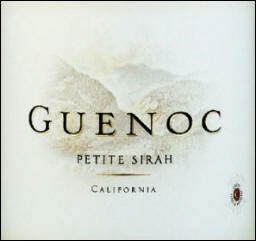 Great complement to artisanal cheeses, beef tenderloin, chocolates. 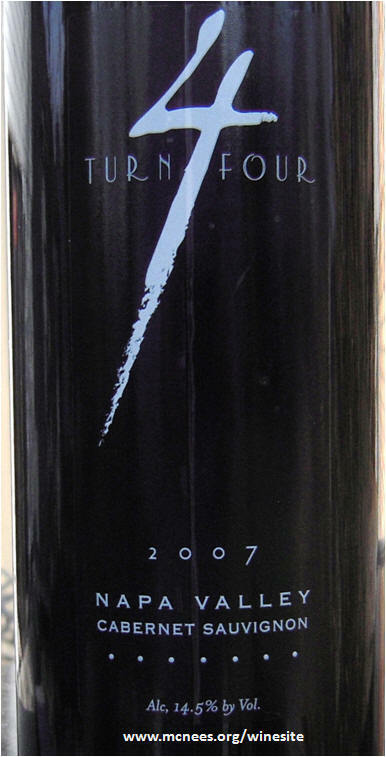 March 13, 2010 - Darioush Napa Valley Cabernet Sauvignon 2000 - RM 89 - Dark color - big forward firm intense dark fruit - black cherry, dark berry, tobacco, cigar box and touch of leather. Not for the feint of heart - good complement to the big bold zesty Italian food. 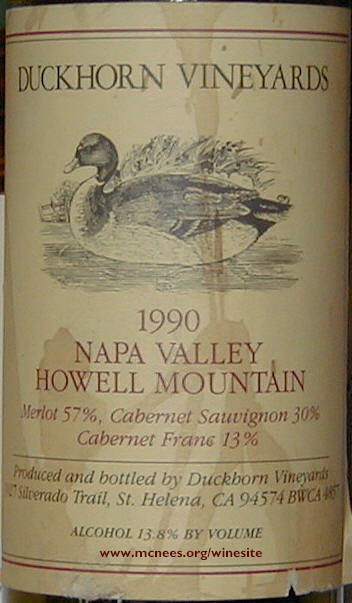 http://cellartracker.com/w?457615; Hall T-Bar-T Napa Valley Cabernet Sauvignon 2001 - RM 90 - Dark color - medium bodied, smooth polished silky texture, berry, red currant fruits with tones of creme caramel. 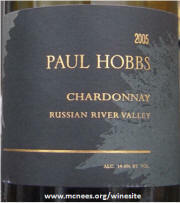 Better than when tasted and purchased at the winery almost a decade ago - (below). 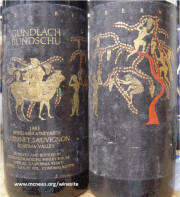 http://cellartracker.com/w?26835 ; Revisiting wines from E & J's Napa trip. 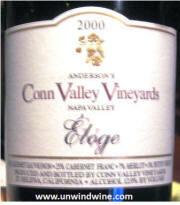 Tasted w/ L, Alec, Erin & Johnnie, Sean and Megan D at Angeli's Restaurant. 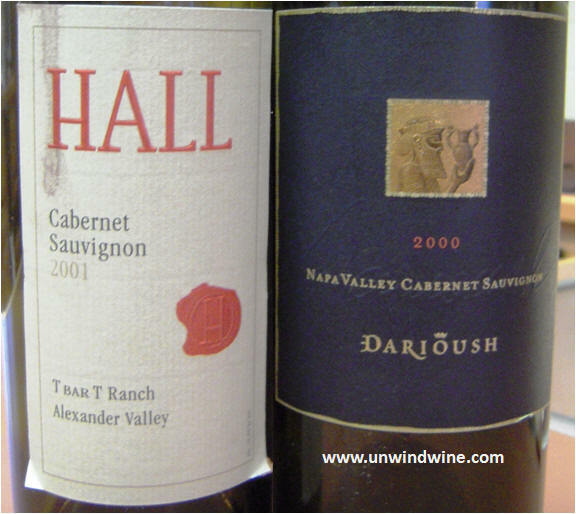 These bottles were tasted and purchased during our Napa Wine Experience 2003 - Darioush and Napa Valley Wine Experience 2003 - Hall Vineyards. 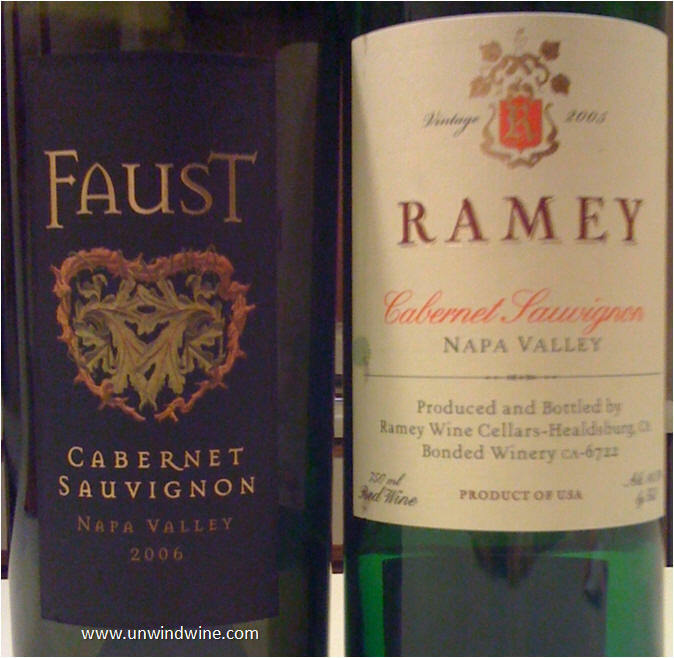 March 10, 2010 - Ramey Napa Valley Cabernet Sauvignon 2005 - RM 90; Faust Napa valley cabernet sauvignon 2006 - RM 89; Caymus Napa Valley Estate Cabernet Sauvignon 2007 - RM 93 - Incredibly smooth - soft silky finely integrated tannins - mocha laced with red currant and red raspberry, blueberry fruit with soft oak. Tasted at Ruth's Chris in Crystal City, Arlington. 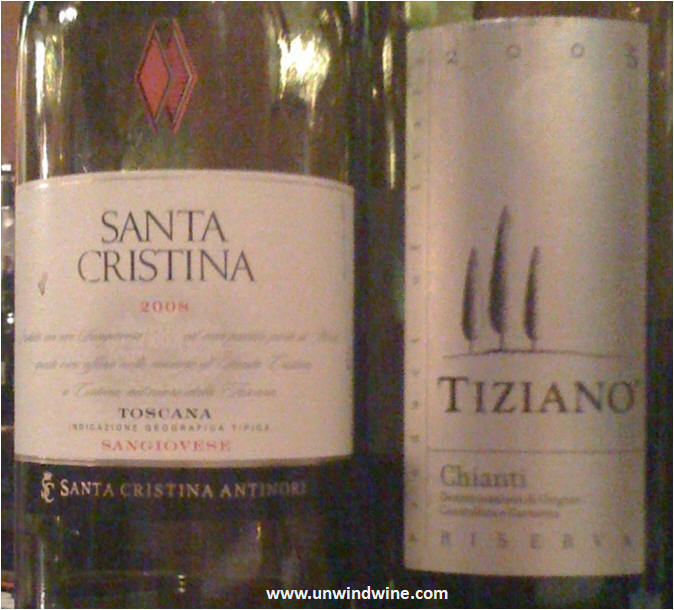 March 09, 2010 - Antinori Sangiovese Santa Cristina Toscana IGT 2008 Italy, Tuscany, Toscana IGT - RM 86 - Medium bodied, firm, dark black cherry fruit, leather, hint of anise on a moderate tannin finish. 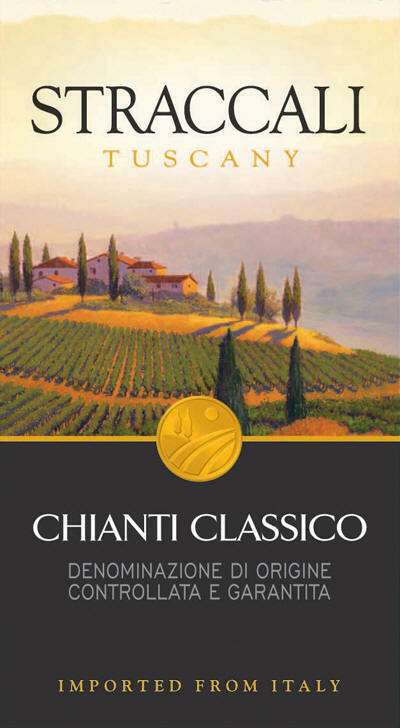 Tiziano Chianti Riserva 2005 Italy, Tuscany, Toscana IGT - RM 84 - Dark slightly metallic, black cherry fruit on a moderate short finish. 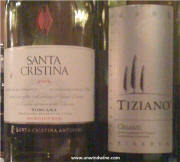 Tasted at Ristoranti Murali, Pentagon Row. 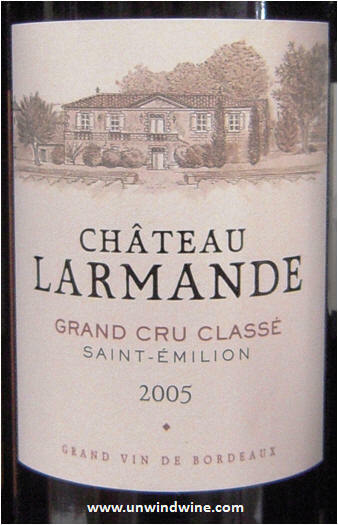 March 08, 2010 - Chateau La Croix Cardinal Grand Cru St Emilion 2005 - RM 88 Firm but approachable tannins predominate - dark, medium full bodied, dark fruits of black berry and black raspberry with dusty rose petals, leather and hint of anise. 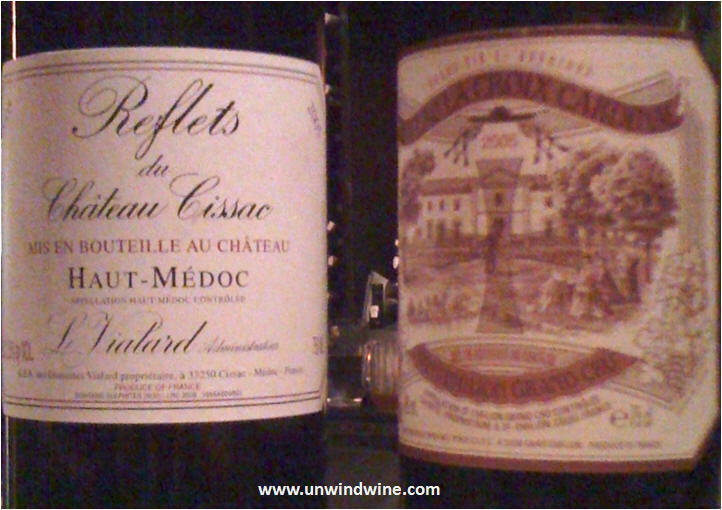 ; http://cellartracker.com/w?564907 - Reflets du Chateau Cissac Haut Medoc 2005 -RM 86; Medium to light bodied - modest fruit - dark berry, hint of leather and anise. http://cellartracker.com/w?549889 Tasted w/ DZ at Bastille Restaurant in Alexandria. 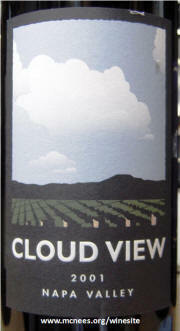 March 06, 2010 - Cloudy Bay New Zealand Sauvignon Blanc 2008 (http://www.cellartracker.com/wine.asp?iWine=591001) - RM 88 - Tropical fruits, citrus, nut and subtle herbs, flavorful with full, intense long mineral acid finish: Chateau Beaucastel Chateauneuf-du-pape 1996 (http://www.cellartracker.com/wine.asp?iWine=5098) - RM 88 - Brackish dark color, subdued nose, medium body, complex layers of black cherry accented by subtle black pepper, spice and tobacco box giving way to slightly earthy leathery red fruits on a silky tannin finish. 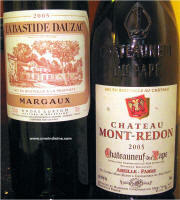 ; Chateau Mont-Redon Chateauneuf-du-pape 2006 (http://www.cellartracker.com/wine.asp?iWine=476442) - RM 89 - Dark garnet purple color - bright lively core of black cherry, blackberry and raspberry fruits with moderate tannin finish. 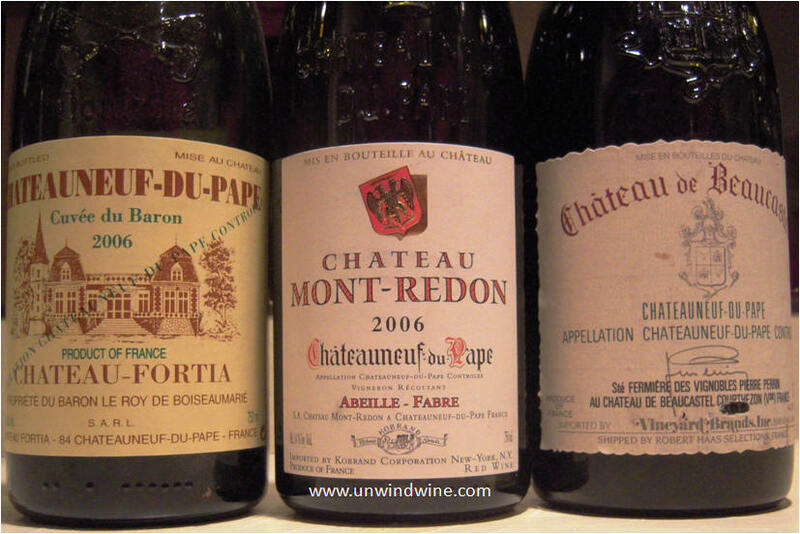 ; Chateau Fortia Chateauneuf-du-pape 2006 (http://www.cellartracker.com/wine.asp?iWine=608878) - RM 91 - Complex layers of dark fruits - black cherry, blackberry and raspberry fruits with finely integrated silky tannins. 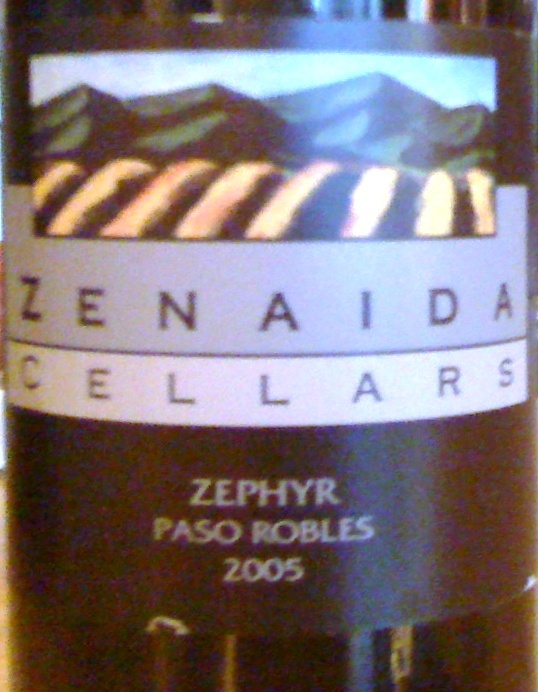 Tasted w/ L at Bill and Beth C's w/ shrimp, fruit, chocolates, artisanal cheeses, and delightful beef filets dinner with grilled asparagus and sweet potato. Visited Beaucastel and Mont-Redon during our Rhone Valley /Provence Wine Experience. 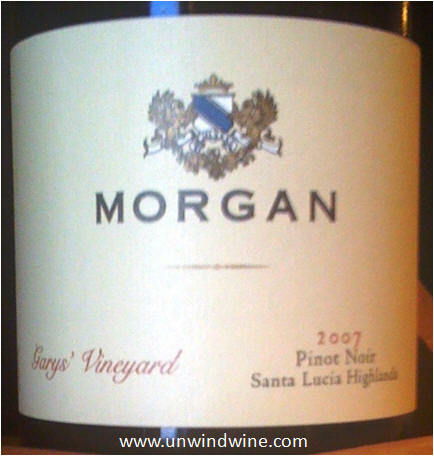 March 4, 2010 - Morgan Gary's Vineyard Santa Lucia Highlands Pinot Noir 2007 - RM 89 - Tasted at Main Street Wine Bar and Cellars - Huntington Beach, CA. 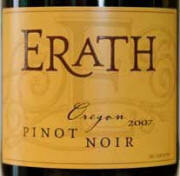 Groth Vineyards Napa Valley Chardonnay 2007 - Tasted at Scott's Seafood, South Coast Center, Costa Mesa, CA. March 3, 2010 - Mount Veeder Napa Valley Cabernet Sauvignon 2006 - RM 90 - Deep garnet color. 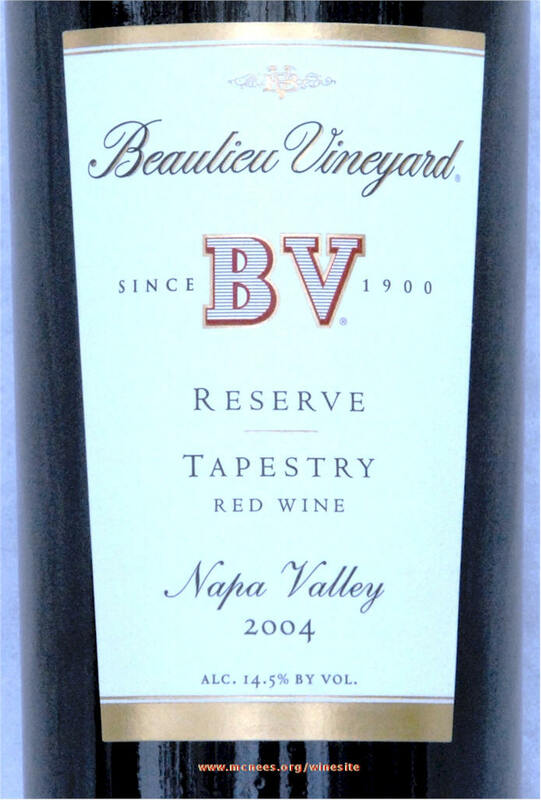 Layers of brambly dark berry, cassis and mocha, rich concentrated with flavors of blackberry, dark cherry, chocolate and cassis. 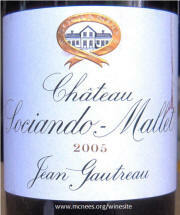 Good structure and well-balanced, with fine-grained tannins and a long finish of cassis and sweet vanilla. 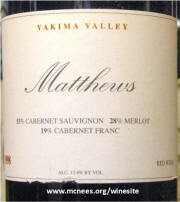 Blend: 83% Cabernet Sauvignon, 10% Merlot, 5% Syrah, 2% Malbec and Petite Verdot. Tasted at The Butcher Shop across from Miramar NAS in San Diego with Don Z, Mike F, Ryan Z, and Chate. 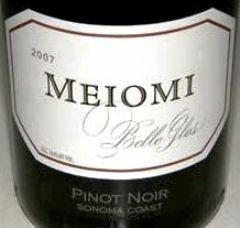 March 1, 2010 - Belle Glos Meiomi Sonoma Coast Pinot Noir 2007 - RM90 - Very aromatic and flavorful - black berries, raspberries, spice, herbs, subtle white pepper and black olive with a smooth polished velvety texture and long lingering tannin finish. 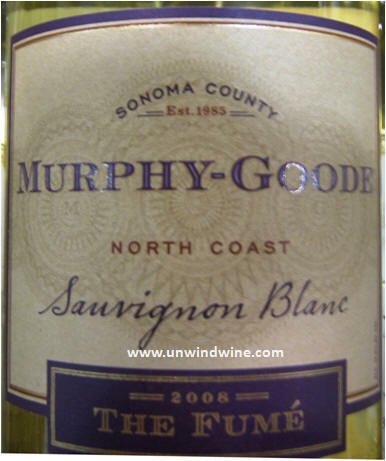 Great value blend from several vineyards with different sub-climates in the true Sonoma Coast - pronounced May-OH-mee” which means “coast” in the language of the native Wappo tribe. 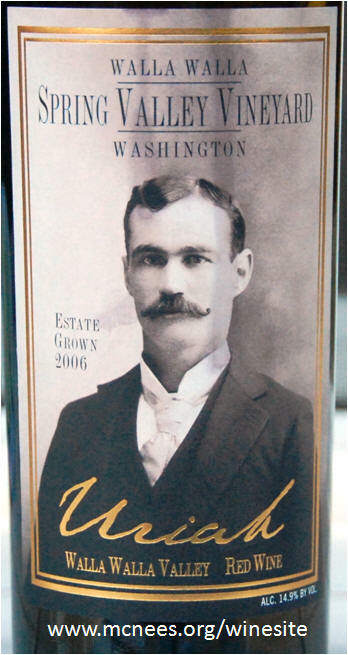 From the Wagners of Caymus fame. Tasted at Flemings in Beavercreek. 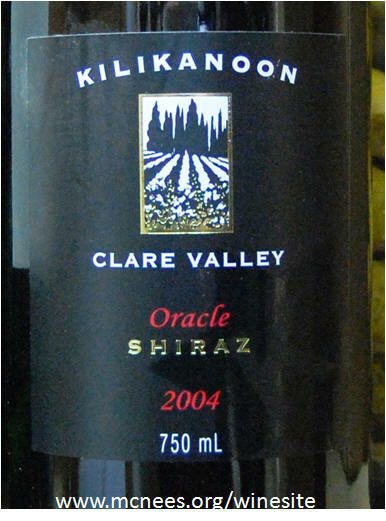 February 27, 2010 - Kilikanoon Oracle Clare Valley Shiraz 1999 - RM 92 RP 94 - Medium bodied but packed full of flavor - intense oak permeates the flavorful blackberry, blueberry, plum, cedar and hints of creosote and mocha. 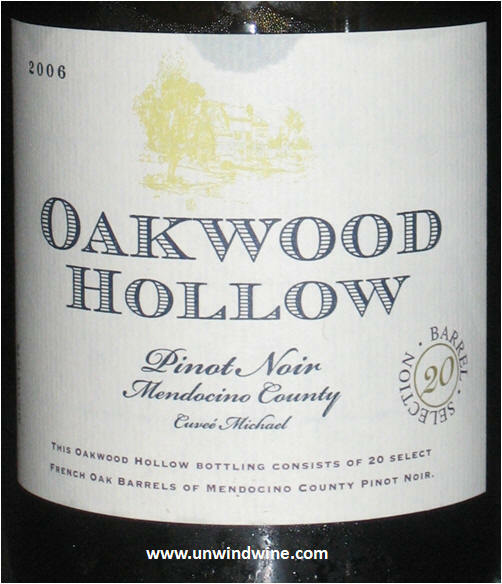 The predominance of the oak and cedar detracts from and almost overpowers the fruit. Tasted at home with selection of artisan cheeses. 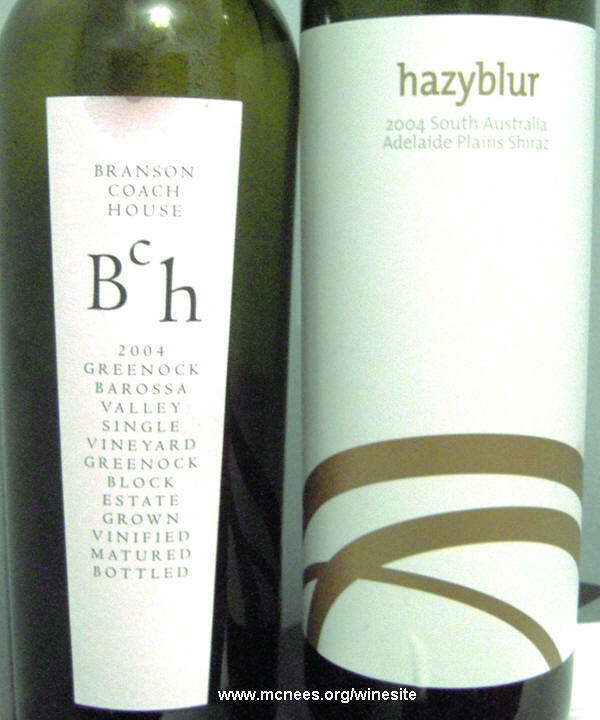 Selected for OBTN - "Open that Bottle Night" based on our fondness for and experience with the 2004 and other vintages and this being our oldest bottle of this label in the cellar. 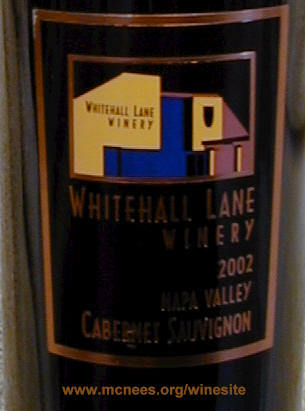 February 25, 2010 - Whitehall Lane Napa Valley Cabernet Sauvignon 2002 - RM 89 - Compare to recent vintage tasting earlier this week - dark color - medium bodied - dark berry fruits, blackberry, black cherry, hint of subtle cedar, soft lingering tannins. 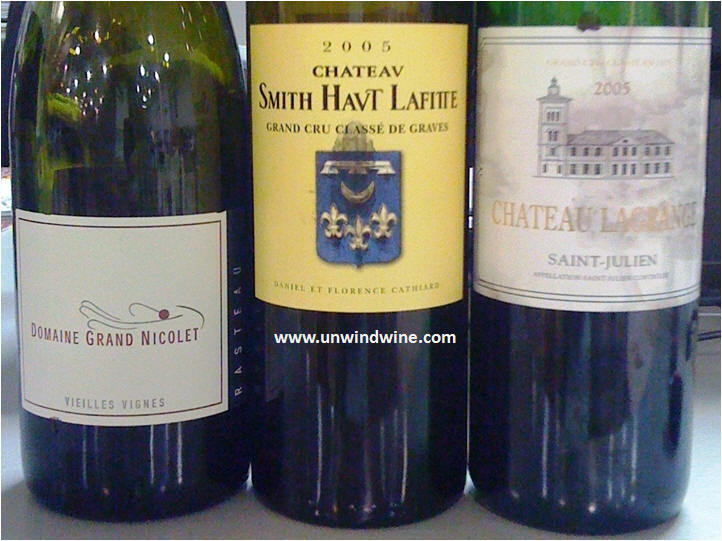 February 25, 2010 - Smith Haut Lafite Grand Cru Classe de Graves Bordeaux 2005 - RM91 - Wow - Big mouthfull of bright floral and full black berry fruits - currant, plum, raspberry with a lingering smooth polished tannin finish: Chateau LaGrange St Julien Bordeaux 2005- RM 89 - Blown away by the Graves - simpler, narrower and les complex - dark fruits, black cherry, leather, subtle tar and a lingering tannin finish; Domaine Grand Nicolet Vielles Vignes Rhone 2007 - RM 88 - Blend of Grenache and Syrah - the firm structure and mineral of the grenache is nicely complimented by full dark berry fruits and hint of spice from the syrah - medium bodied, more narrow and simpler than the Bordeaux above but good value none-the-less. 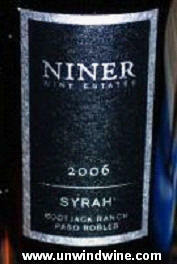 Tasted w/ Mike at Binny's DG. 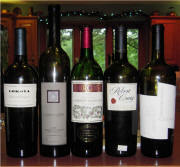 February 23, 2010 - Ladera Napa Valley Cabernet Sauvignon 2006 - RM 90; Spring Valley Uriah Walla Walla Red Wine 2006 - RM 90; Whitehall Lane Napa Valley Cabernet Sauvignon 2006 - RM 89; Tasted w/Oz, DZ, MG. Dane and Curt at Morton's Crystal City. February 22, 2010 - Don Miguel Gascón Malbec, Argentina 2008 - RM 86 - Tasted w/ DZ, MG at McCormick & Schmidts, Arlington, Crystal City. 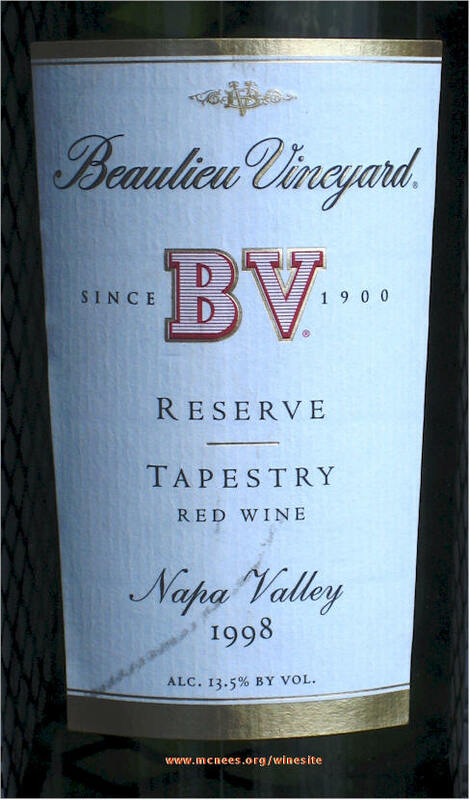 A full bodied wine showing blackberry, dark cherry, a hint of mocha, subtle spice - firm texture and moderate tannins on the finish. swordfish, ravioli, artisanal cheeses at neighbors Mark & Shirley w/ Capt Al & Lee & Capt John & Marge. rib-eye and NY strip steak, sea-bass, swordfish, ravioli, artisanal cheeses at neighbors Mark & Shirley w/ Capt Al & Lee & Capt John & Marge. 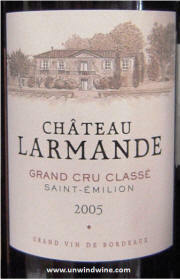 Chateau Larmande St Emilion 2005: RM 91- My favorite of this Bordeaux flight tasting. 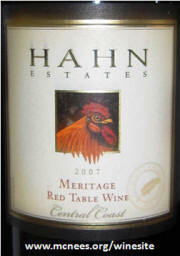 Plum fruit, subtle cherry-cranberry, nice texture and an appealing, moderately firm grip of tannin in the midpalate. Chateau Quinault L'Enclos Saint Emilion 2006 - RP 92 RM90 - Aromas of dark cherry, mocha and tobacco, flavors of cherry, mineral and iron. 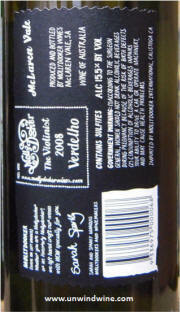 Chateau De Beaulieu Comtes De Tastes Bordeaux Superieur 2006 - 60% merlot, 30% Cabernet Franc and 10% Cabernet Sauvignon. Good value. 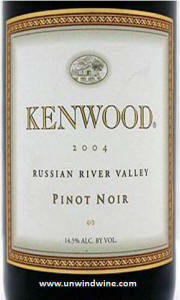 Concentrated, dark fruits, black cherry ,subtle mocha and mineral notes. 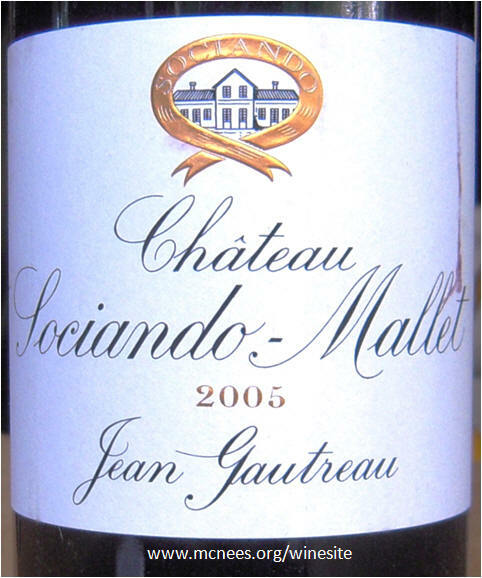 Chateau Sociando-Mallet Haut-Médoc 2005: RM89 - Dark fruits, subtle leather, hint of earthy cassis, notes of toasty oak, well balanced, nice polish. 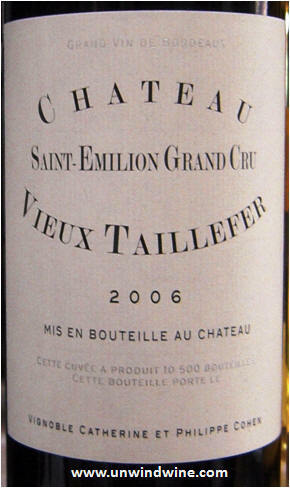 Chateau Vieux Taillefer St Emilion 2006; Chateau Beaulieu 'Comtes de Tastes' Bordeaux Superieur 2006 - RM88 RP88 - Blend of 70% Merlot, Cabernet Franc and Cabernet Sauvignon - Dark ruby color, medium body black currant, black cherry, hints of spice box and cedar, sweet tannin. Extraordinary value. Tasted at Binny's Downers Grove. 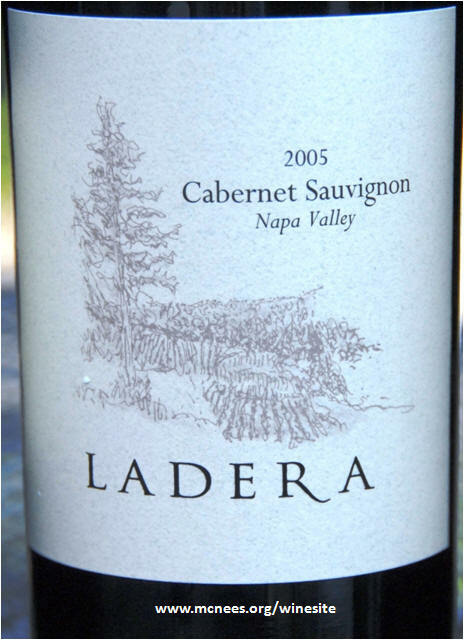 February 3, 2010 - Ladera Napa Valley Cabernet Sauvignon 2006 - RM 90 - winemaker notes - "Aromas of blackberry and raspberry fruit; rose petals, mint and white pepper with toasty and vanilla highlights. 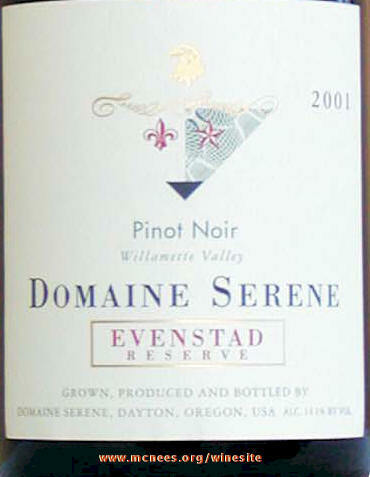 Dark plum and bramble berry flavors fill the mouth. The tannin structure is full and highly extracted, but soft and lush". 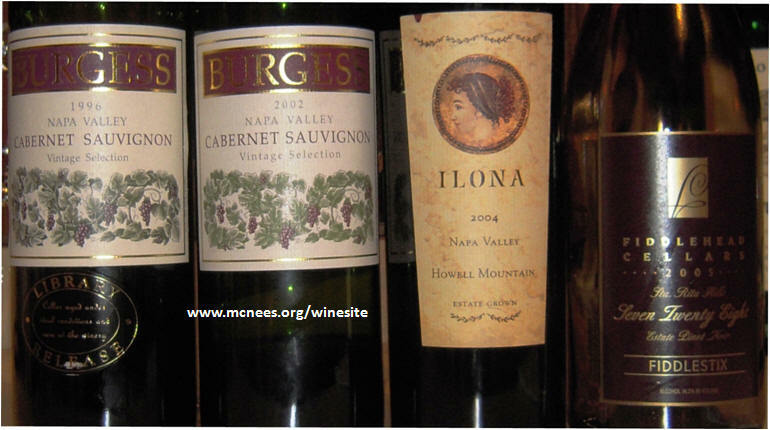 Tasted at Morten's Steakhouse in Crystal City w/DZ and MG. 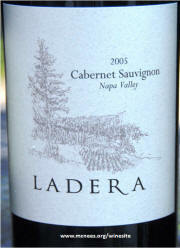 Blend: 100% Napa Valley, 92% Cabernet Sauvignon, 3% Malbec, 5% Petite Verdot. 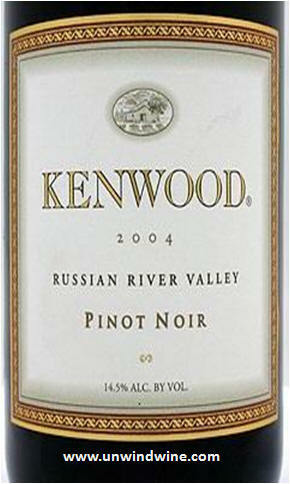 February 2, 2010 - Kenwood Sonoma County Russian River Valley Pinot Noir 2006 - RM 89 Sensations of black cherries and black raspberries followed by hints of black pepper, rose petals and spice; rich, medium full-bodied texture with a smooth, long finish. Tasted at McCormick & Schmick Arlington w/ DZ and MG.
more refined and polished and Troncas to a more delicate and slightly sweeter French Allier and Colbert. Great accompaniment to beef tenderloin dinner. Flourless chocolate cake accented by Dow's Vintage Port 1997. 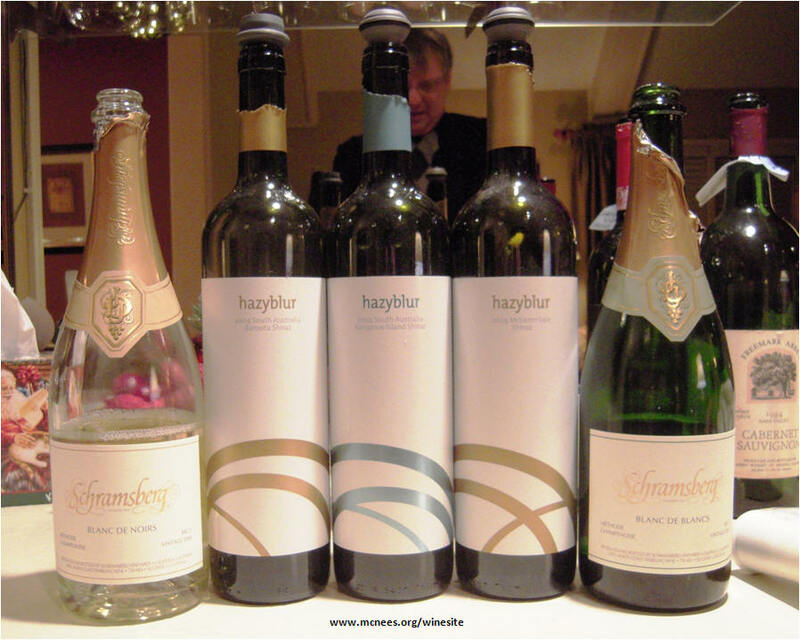 French Creme Brulee highlighted by Kracher Nouvelle Vague #5 Zweigelt TBA 1996 and Kracher Traminer #8 TBA 1998. 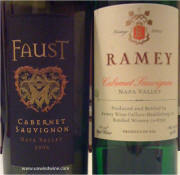 Medley of artisanal cheeses and butter seared sea scallops in sherry tomoato and spinach sauce were accented by comparison flight of Chardonnays - Joseph Phelps Ovation Los Carneros 2004 and Ramey Hudson vineyard Carneros 2005, and Bernkasteler Doctor Mosel Ruer Sauer Kabinett Riesling 1999. 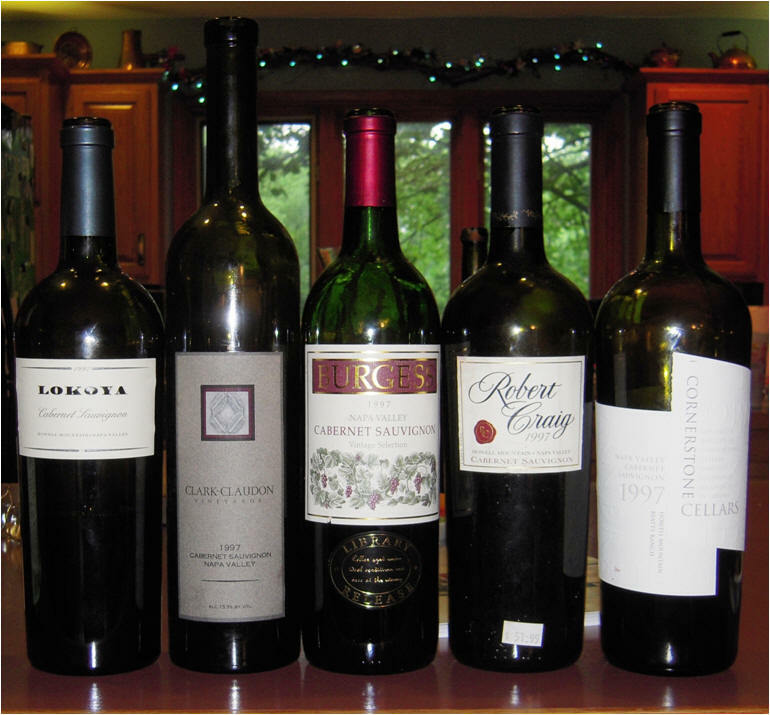 Participants and cellar selection besides hosts L and me were Dr Dan and Linda, Bill & Beth C, and Lyle and Terry F.
January 16, 2010 - Marco Di Giulio Napa Valley Mount Veeder Progeny Vineyard Cabernet Sauvignon 2001 - #wine http://cellartracker.com/w?137762 RM 92: Dark inky color. Big floral nose. Mouthful of black berry, cedar, spicy oak and finely integrated polished tannins on a long flavorful finish. Tasted w/ Dr Dan. 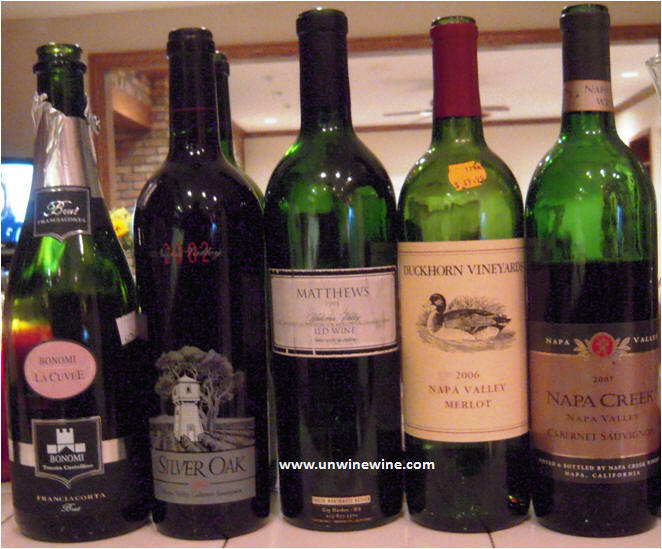 January 8-9, 2010 - Clark Claudon Napa Valley Cabernet Sauvignon 1999 - RM 90-91. I struggled to characterize this wine. I defer to the master who demonstrates his expertise with his discernment and articulation. My review and Robert Parker's. Rick's journal - Medium - full bodied. Aromas and tastes of cedar and perfume predominate with black fruits throughout the long finely integrated firm tannin finish. 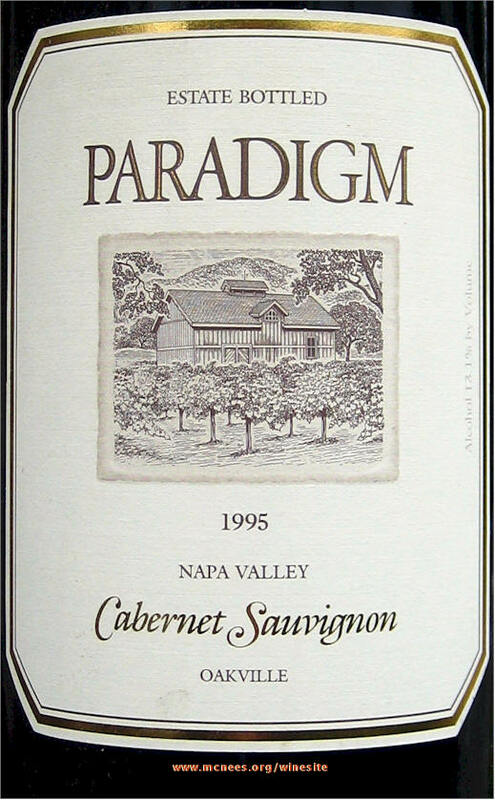 Robert Parker's Review - "Another brilliant effort from this up-and coming Napa estate, Clark-Claudon's 1999 Cabernet Sauvignon exhibits an opaque blue/purple color, and a sweet perfume of minerals, blue as well as black fruits. Medium to full-bodied, it possesses outstanding purity in addition to well-integrated tannin, acidity, and wood. 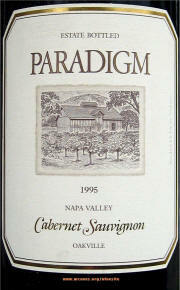 Vintages to date have blended grace, power and subtlety, resulting in extremely impressive Cabernets. More over, they are built to last. 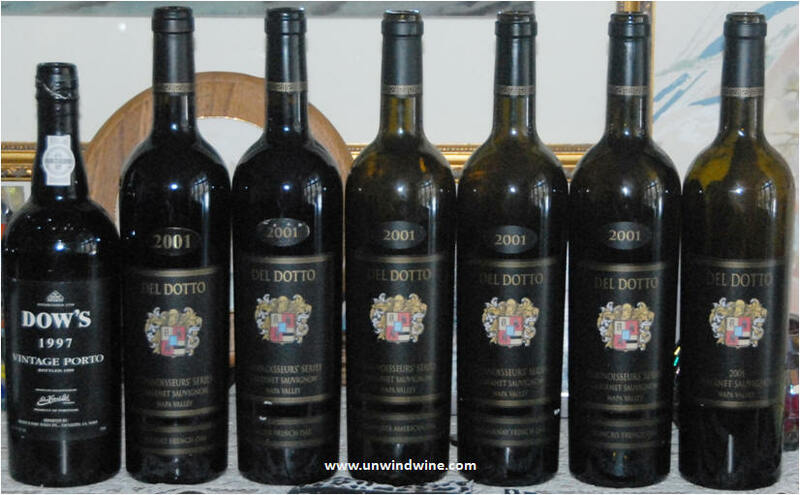 Anticipated maturity: 2006-2022." 92+ points Robert Parker, Wine Advocate, August 2002 885 cases produced". Tom Clark and Laurie Clark-Claudon were a Featured Producer at our 1999 Napa Wine Experience. It was the blue fruits that threw me. I wouldnt use that to describe the 'other' fruits in there - I considered logan-berry and raspberry but its not that sweet and not that tart.. somewhere in-between.... You decide! January 5, 2010 - Matthews Cellars Red Wine 1998 - RM 90: Dark, nicely integrated complex structure of dark berry, black cherry, berry flavor, hint of anise on a nicely balanced tannin finish. 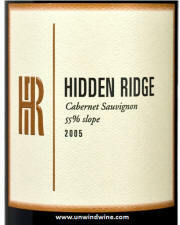 http://cellartracker.com/w?138961 Blend of 53% cabernet sauvignon, 28% Merlot and 19% cabernet franc. Tasted at Angeli's Restaurant with L and Alec serving. palate. New Years eve dual horizontal tasting accompaniment to chocolate fondue and artisan cheeses hosted by Bill and Beth C. Dessilani Gattinara Piedmont Reserva 2000 - RM 87 - Nebbiolo varietal. Dark medium-full bodied, dry. Initially closed, then opened to black berry, black cherry, rose and violet floral notes with dusty anise on a polished firm tannin finish. 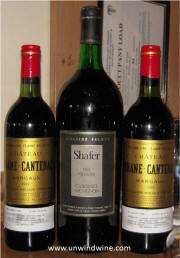 Drank with festive holiday dinner at Angeli's Restaurant with L and Bill & Beth C. Sourced from C's cellar.